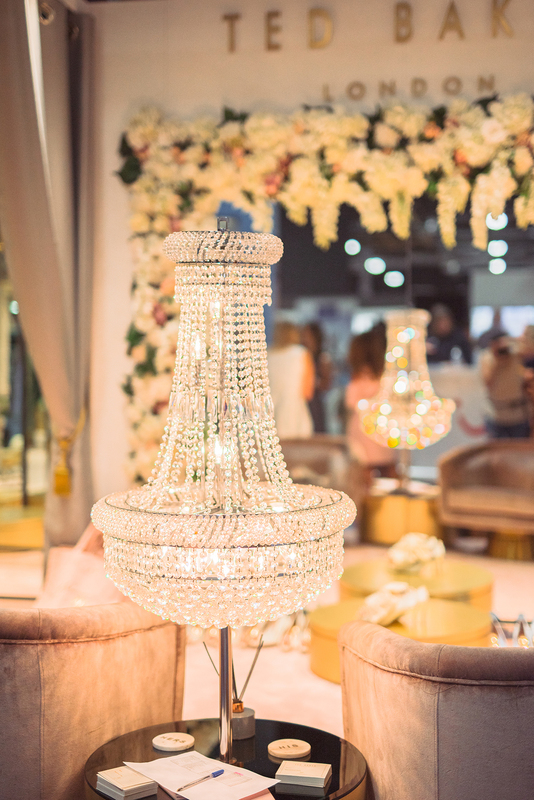 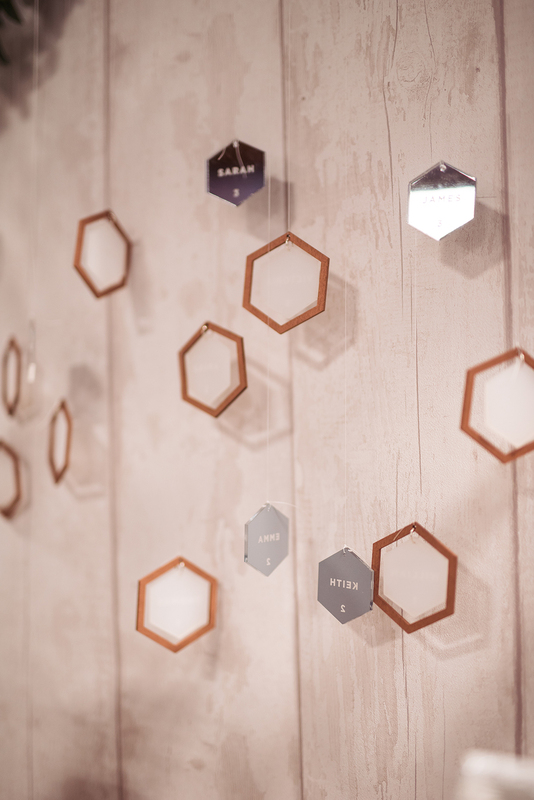 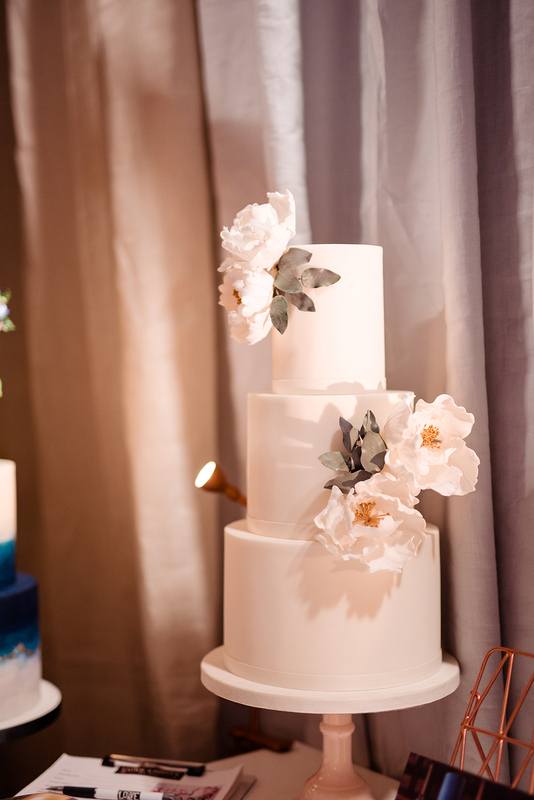 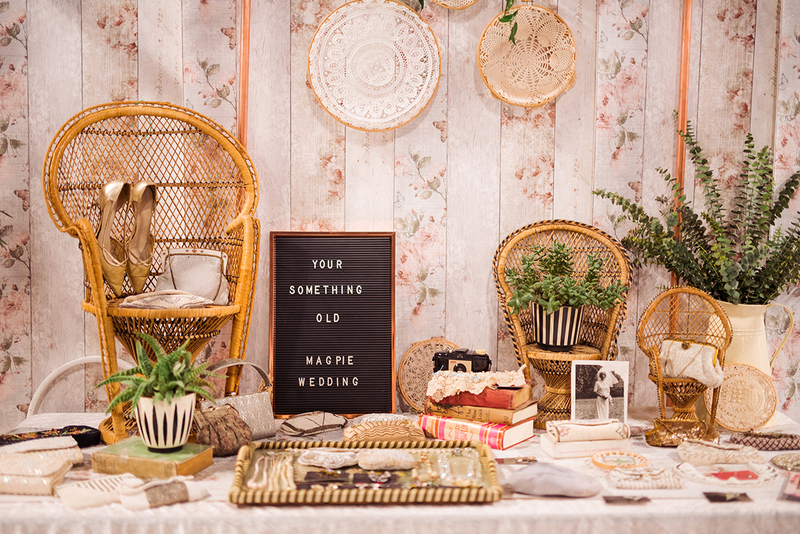 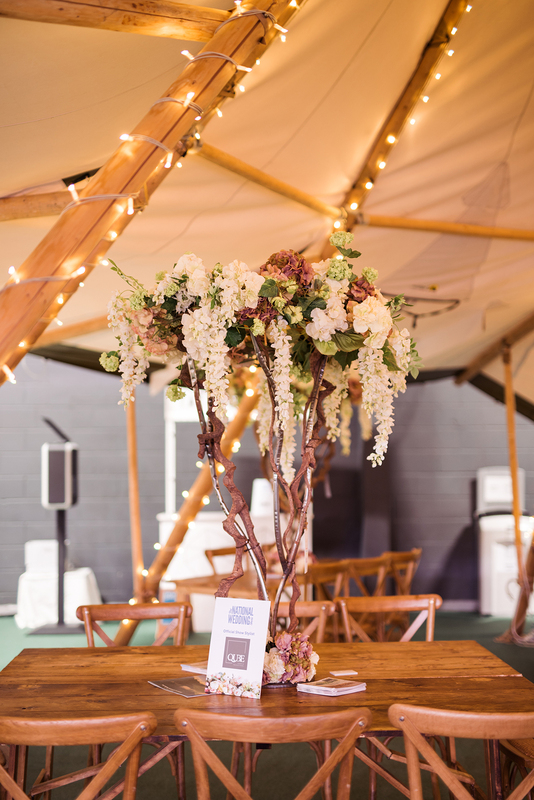 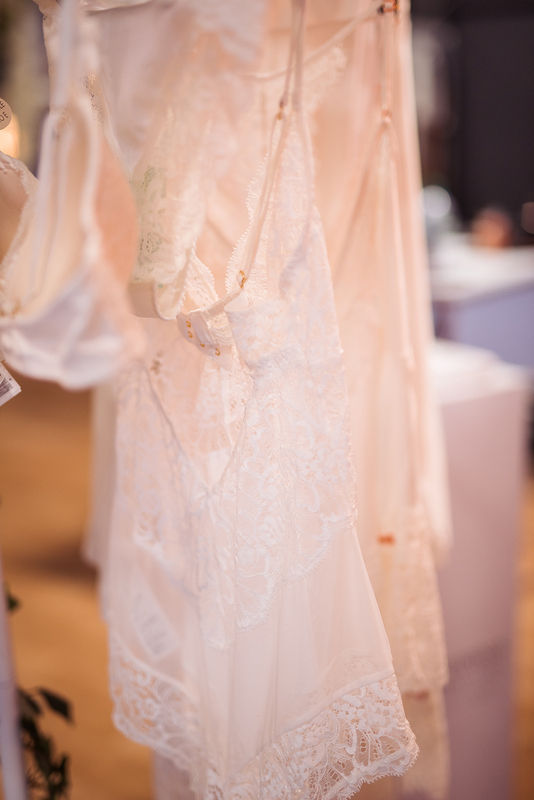 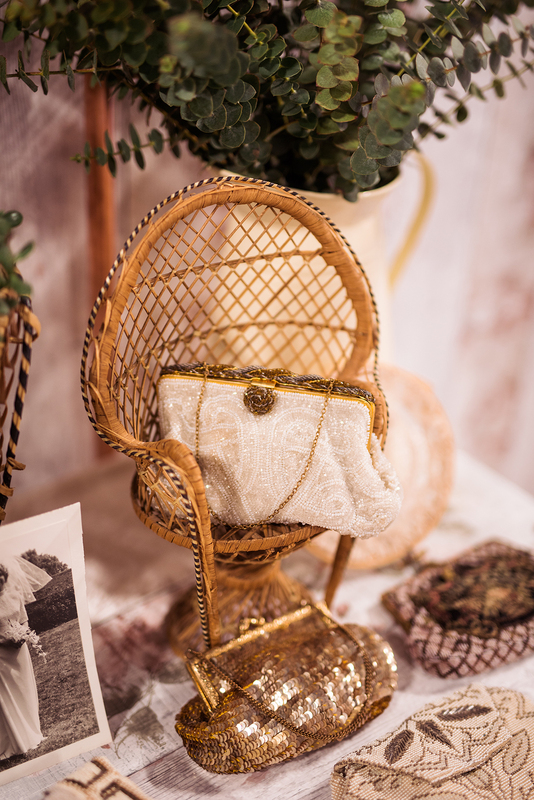 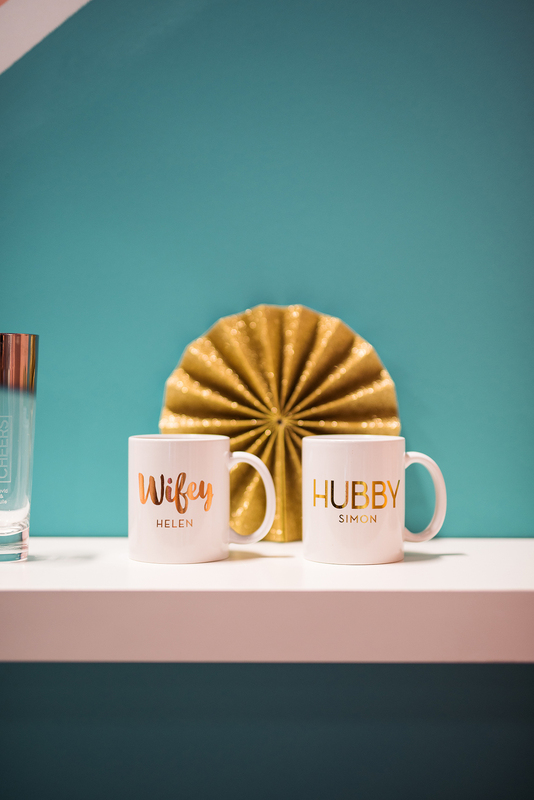 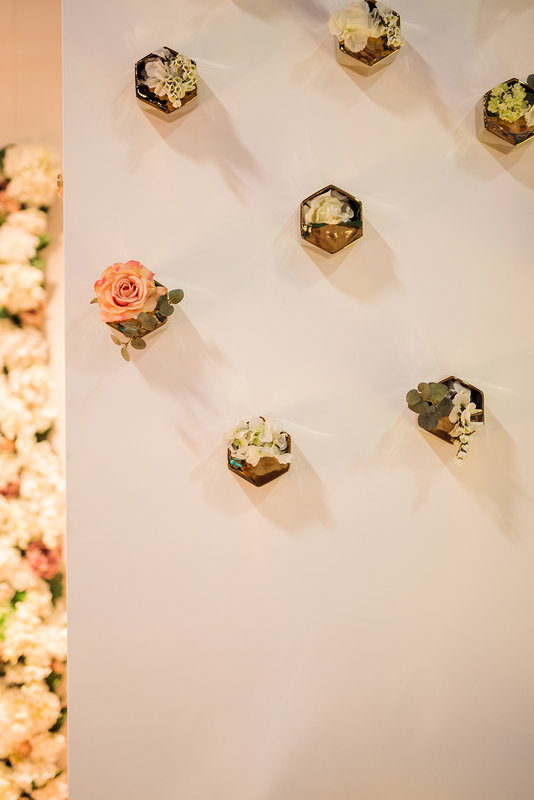 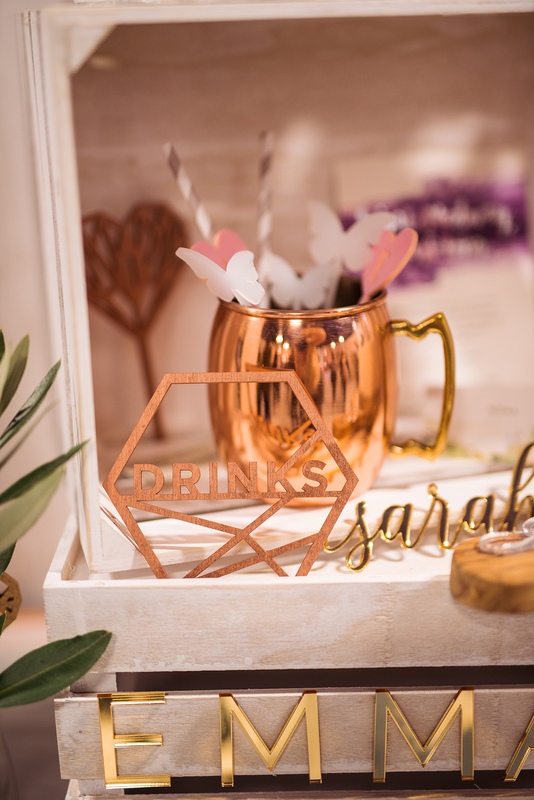 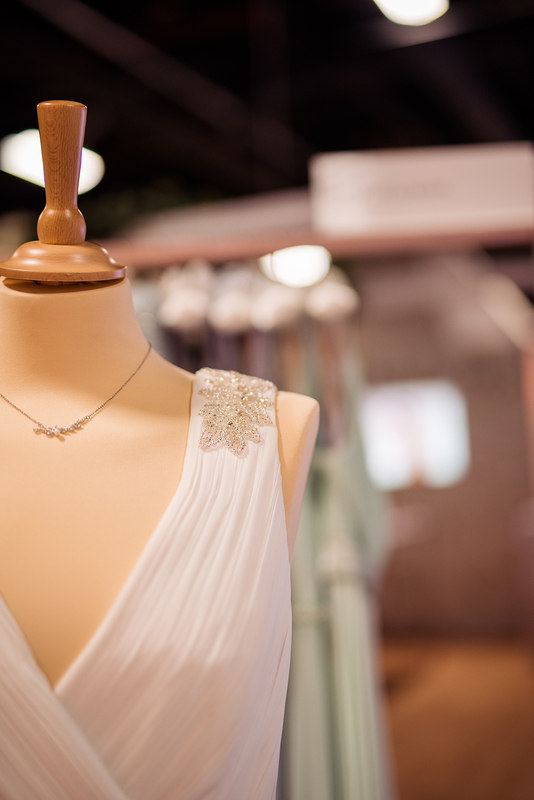 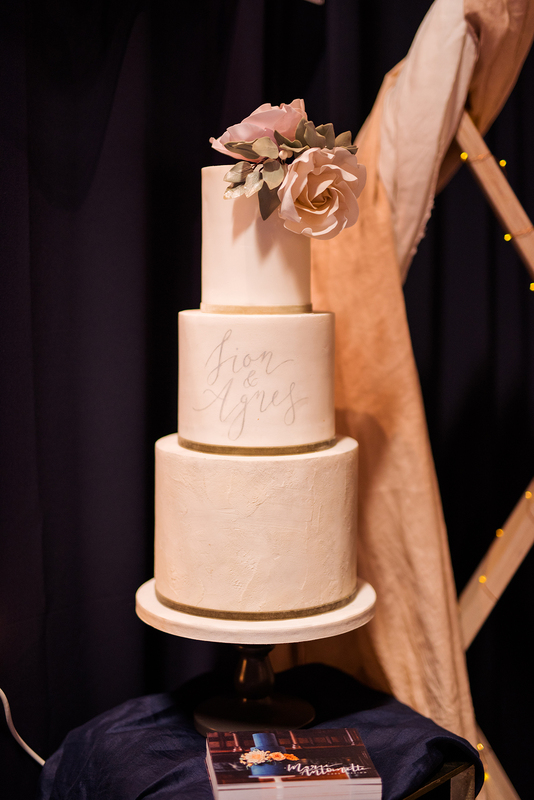 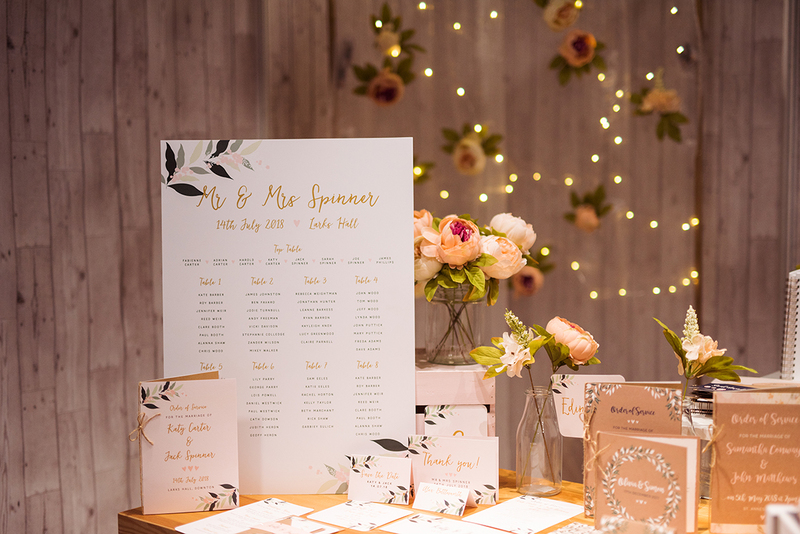 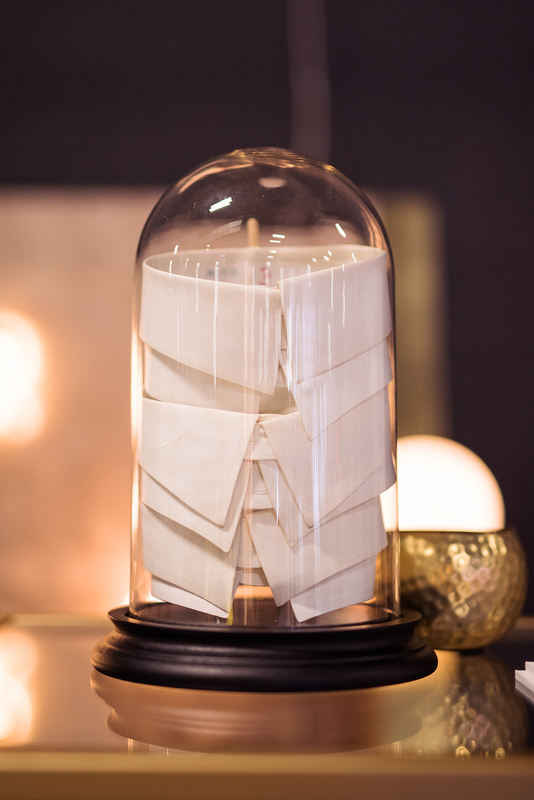 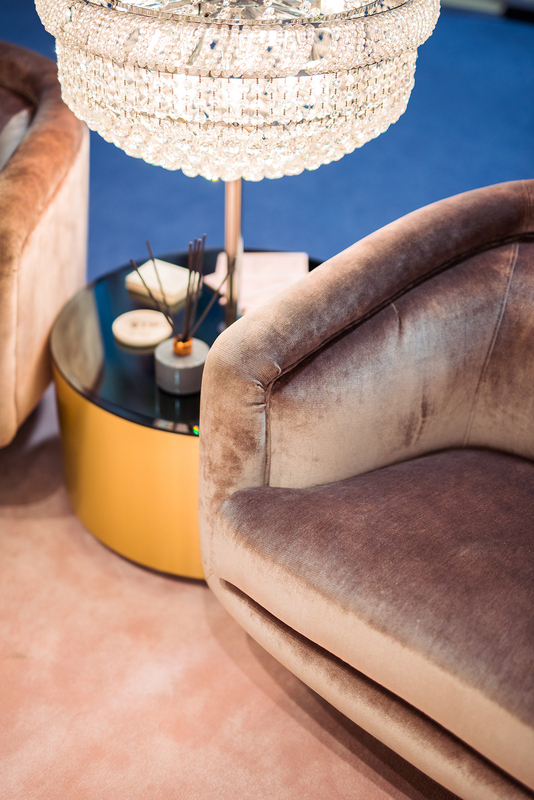 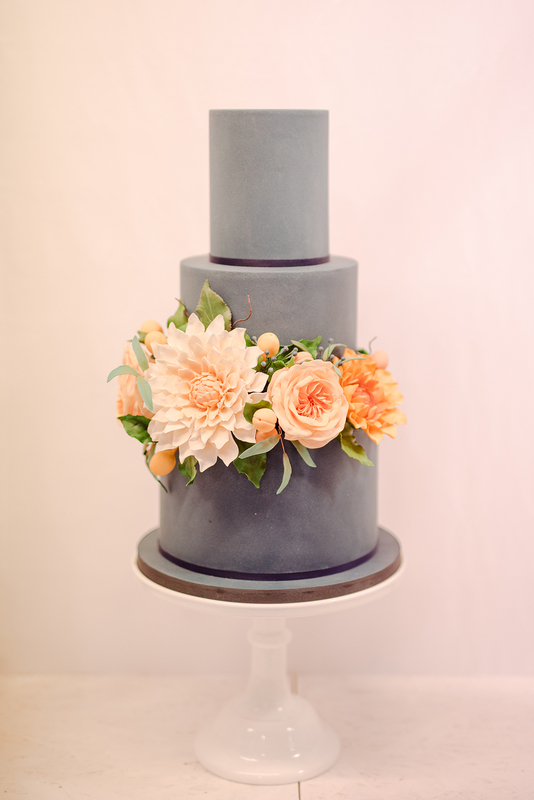 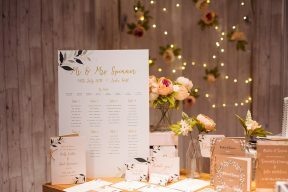 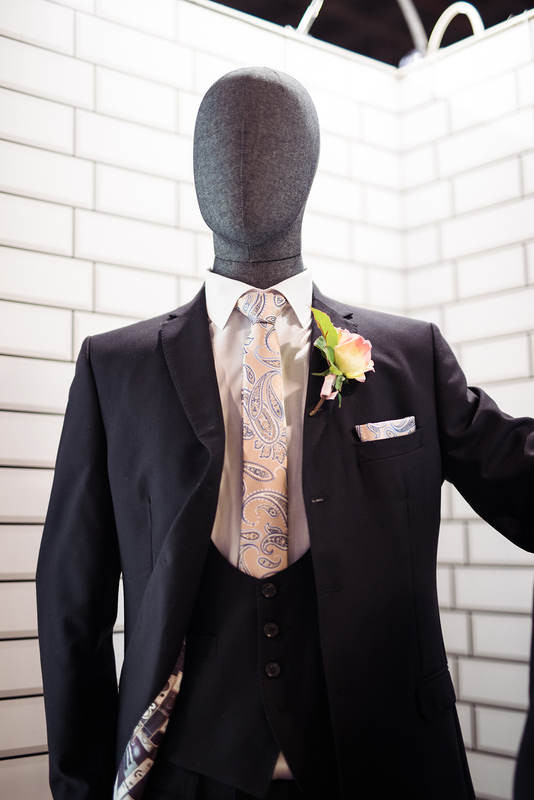 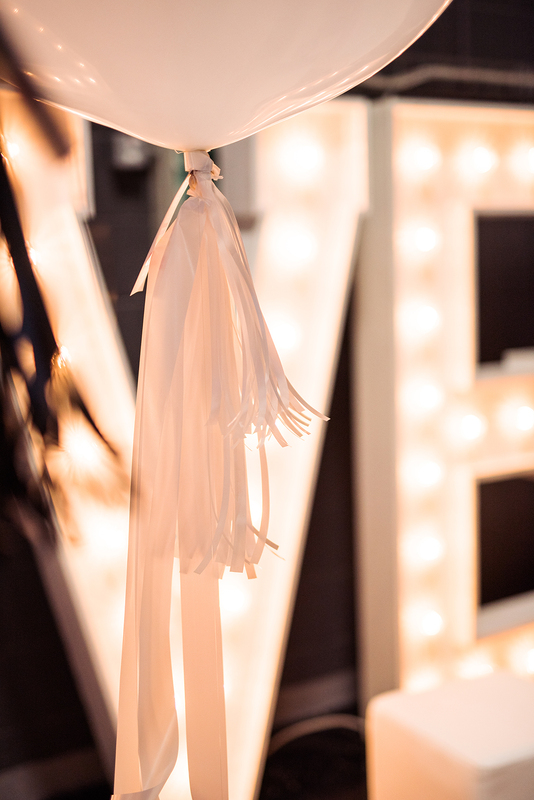 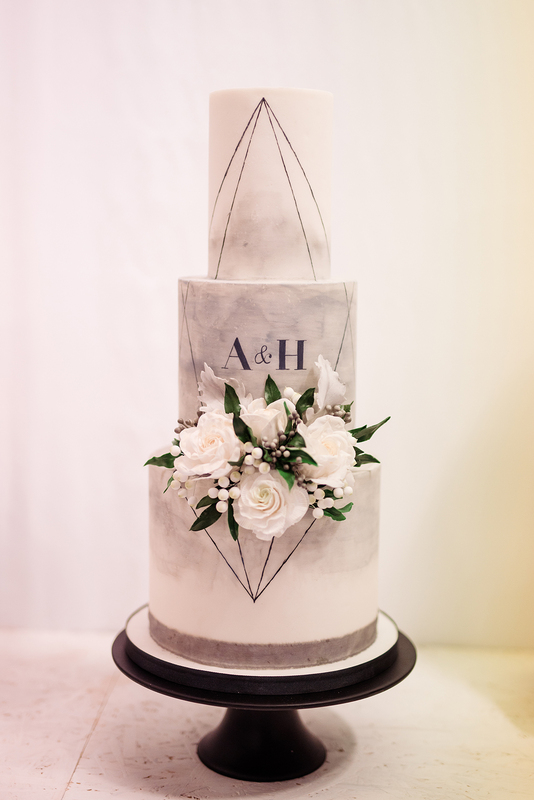 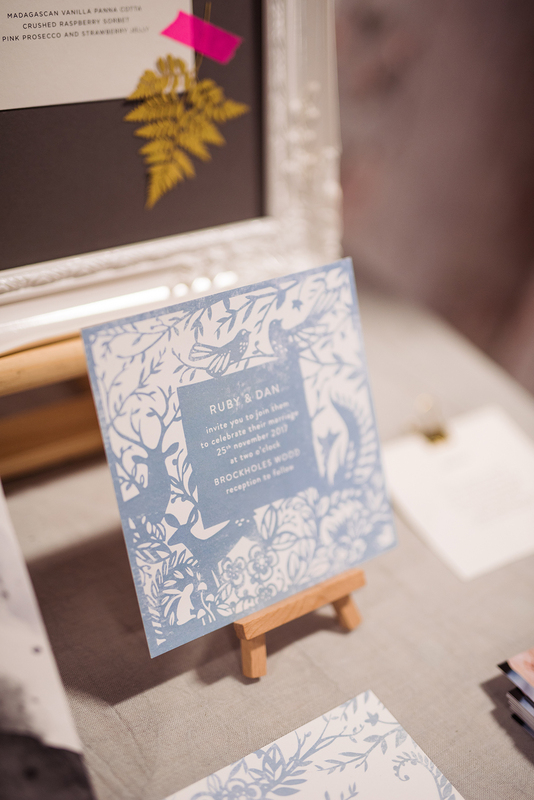 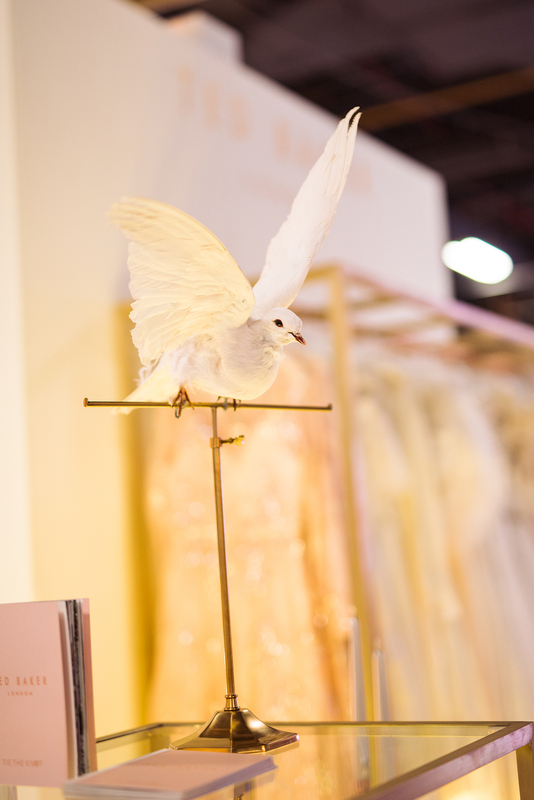 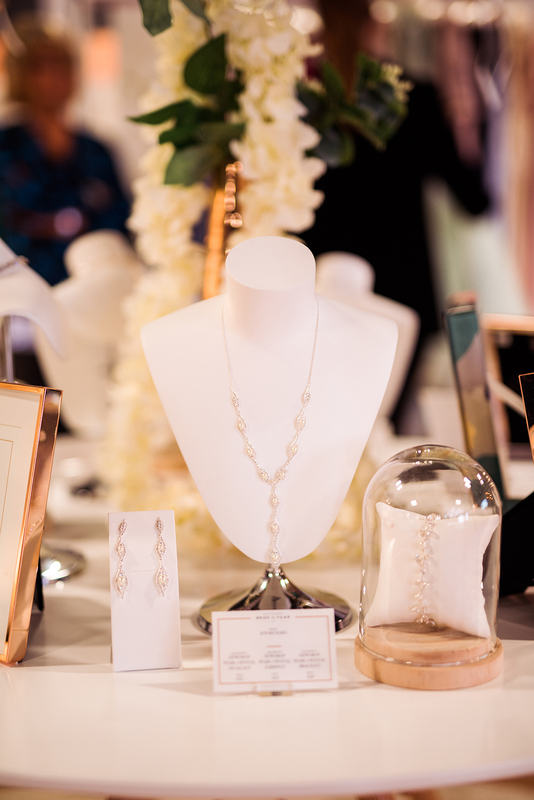 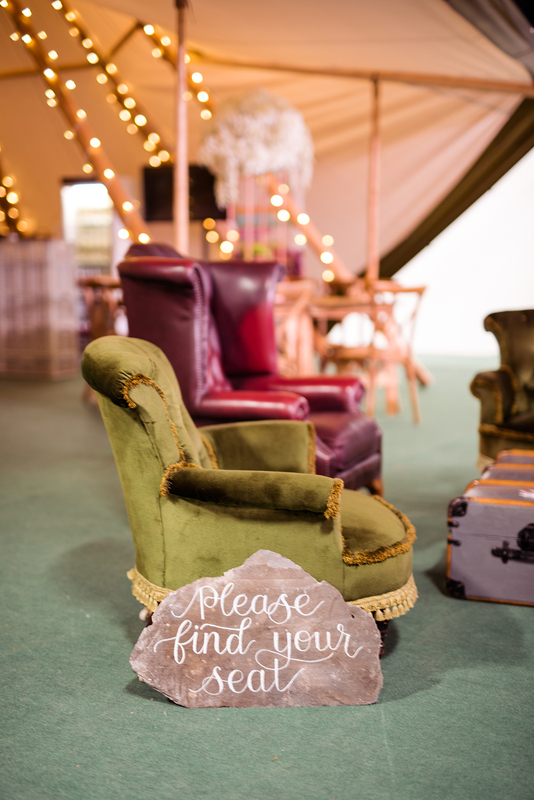 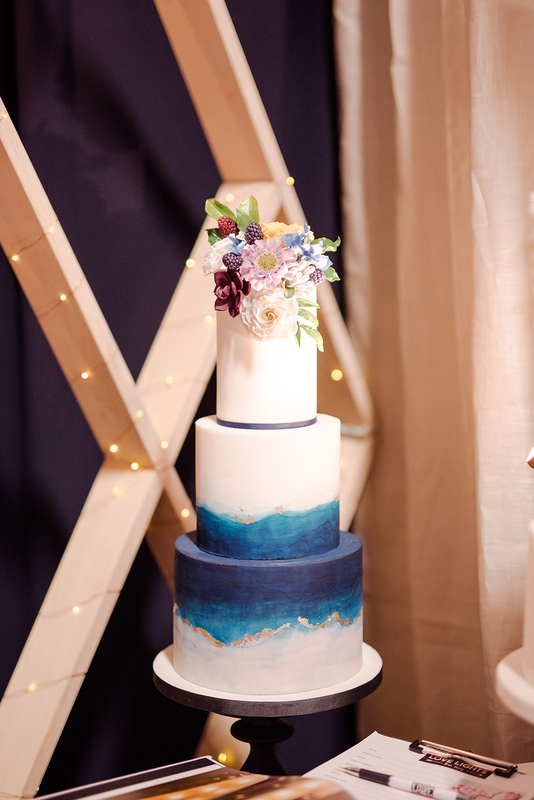 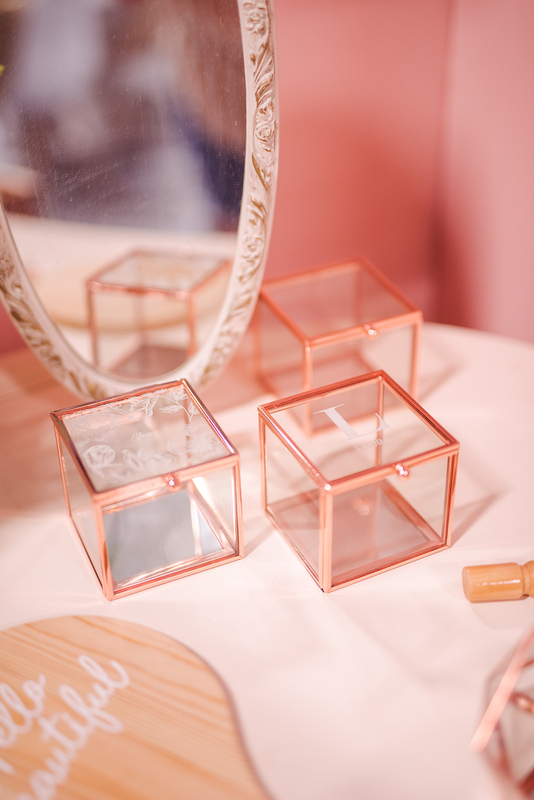 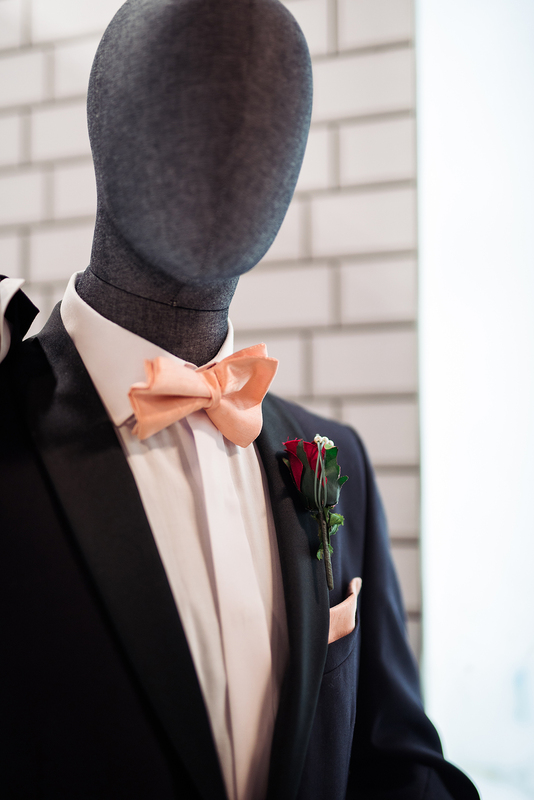 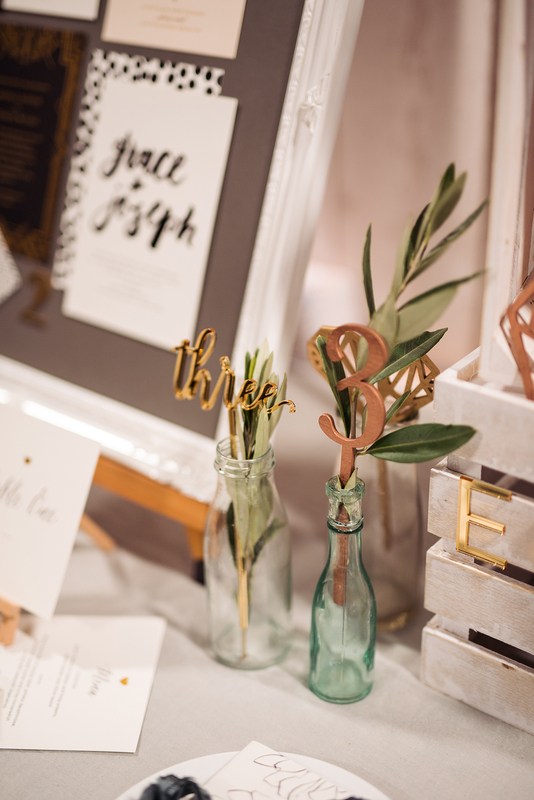 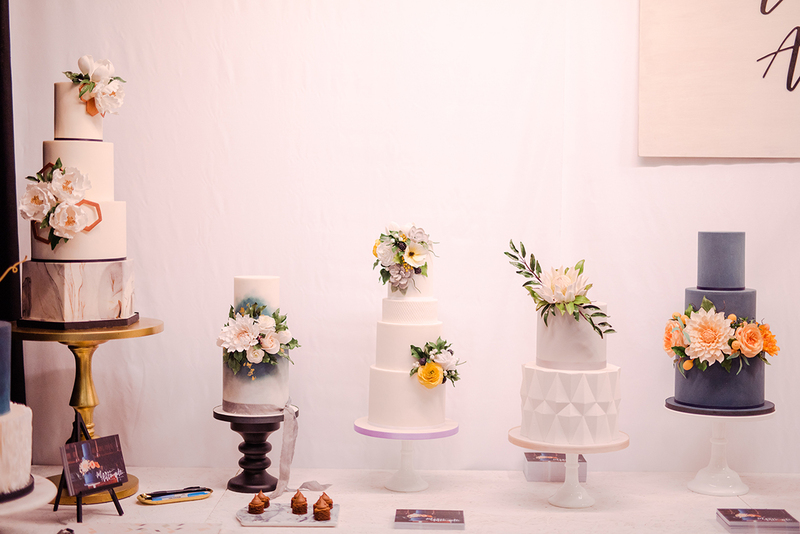 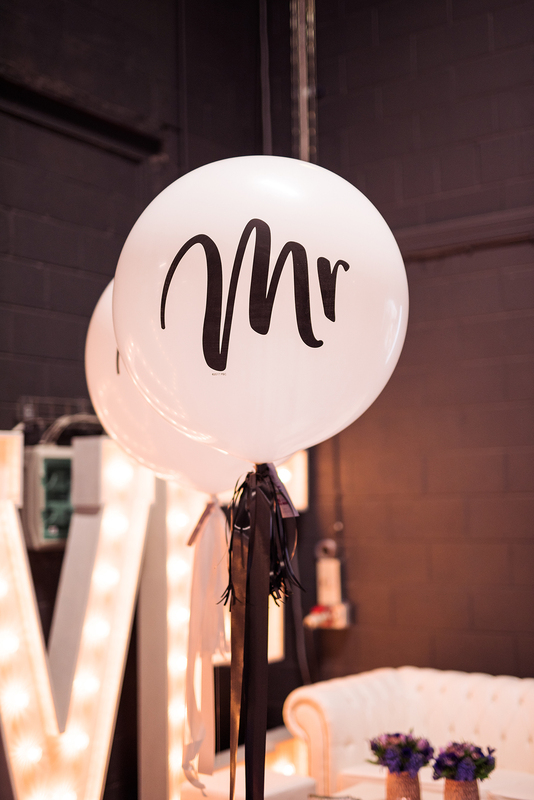 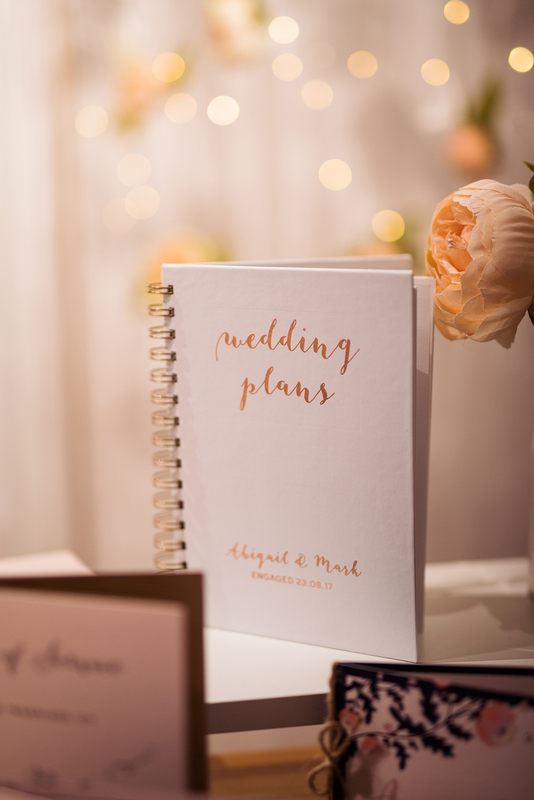 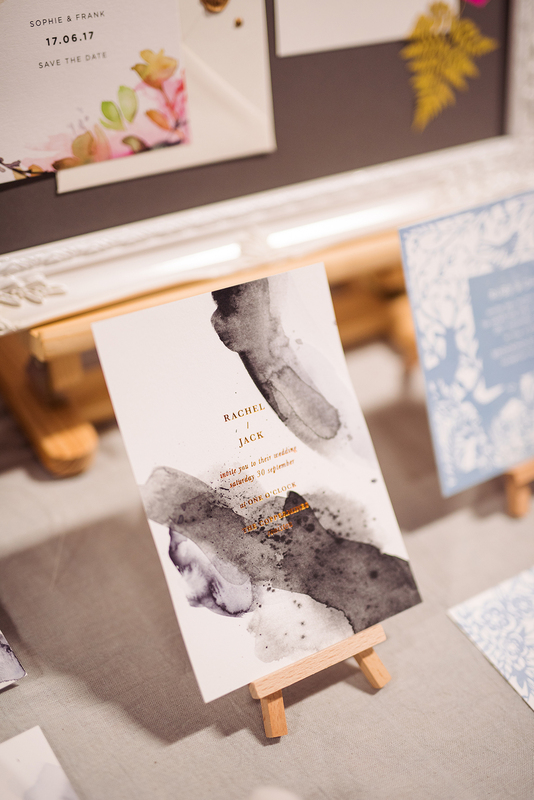 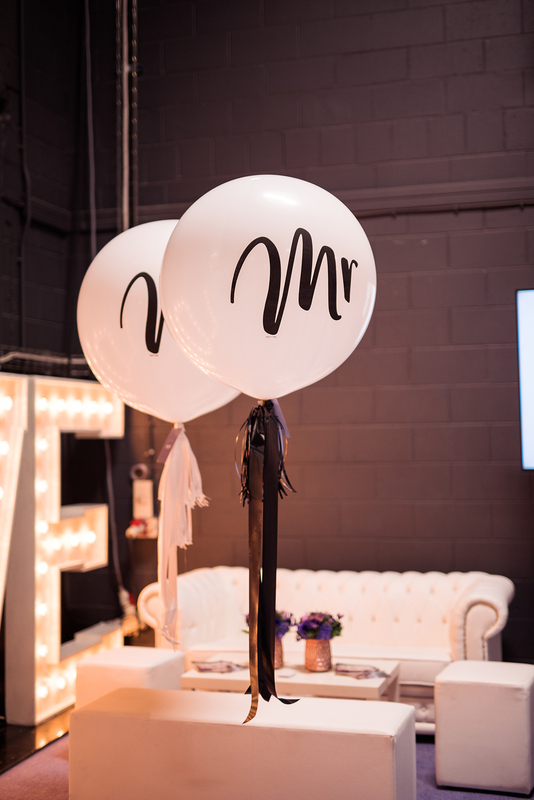 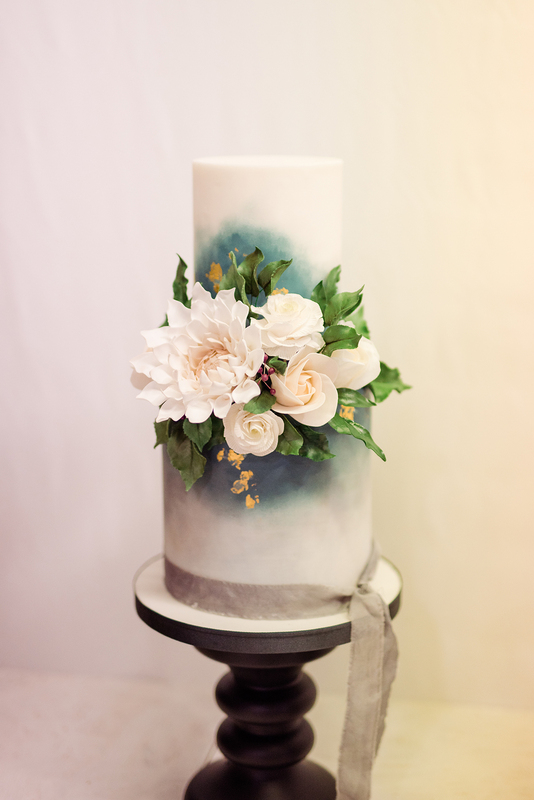 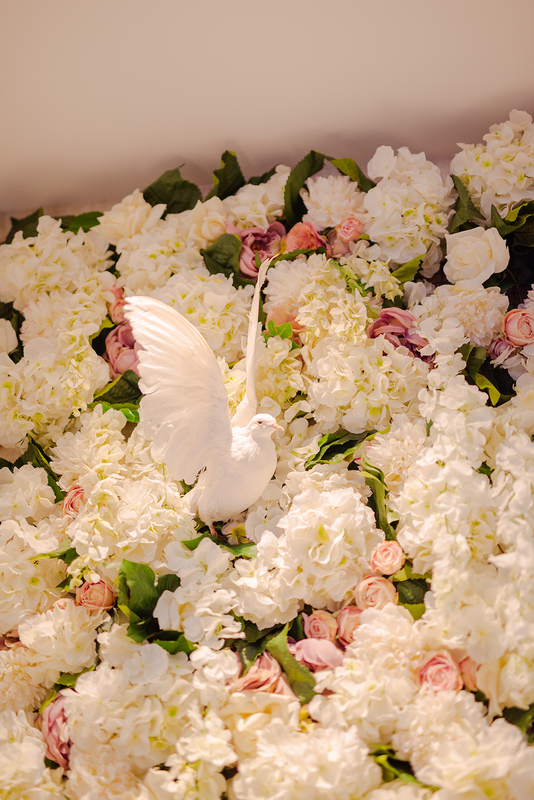 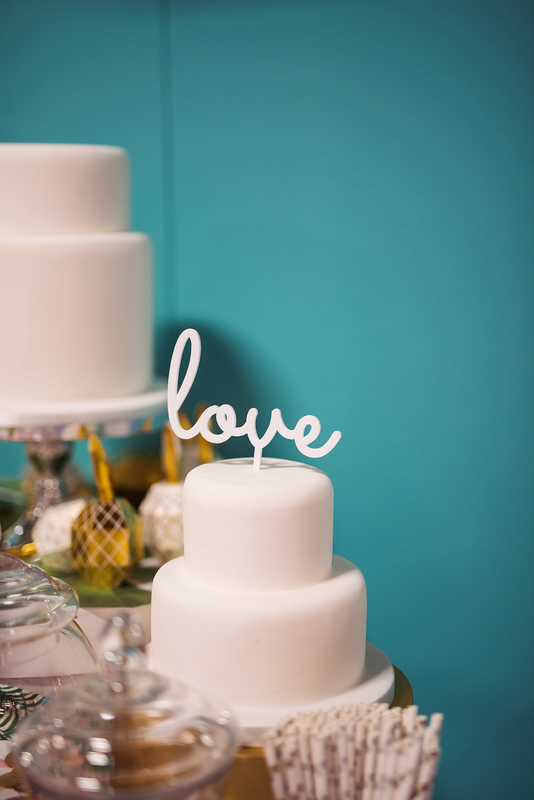 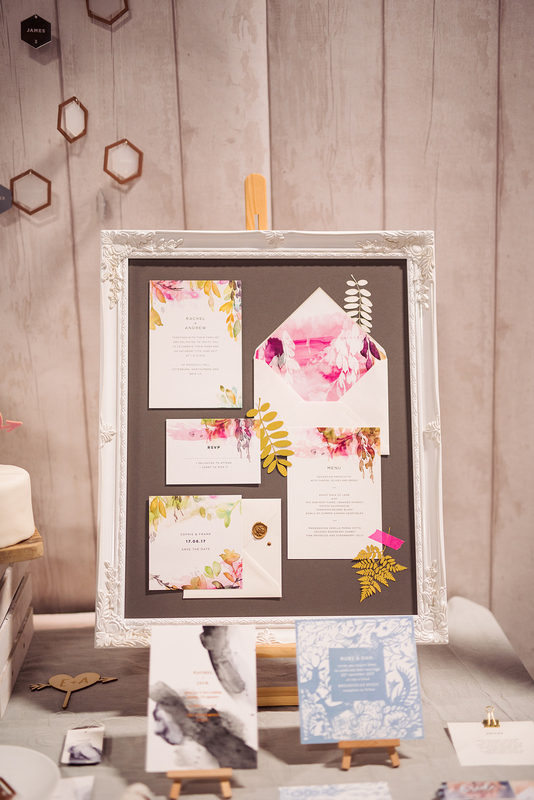 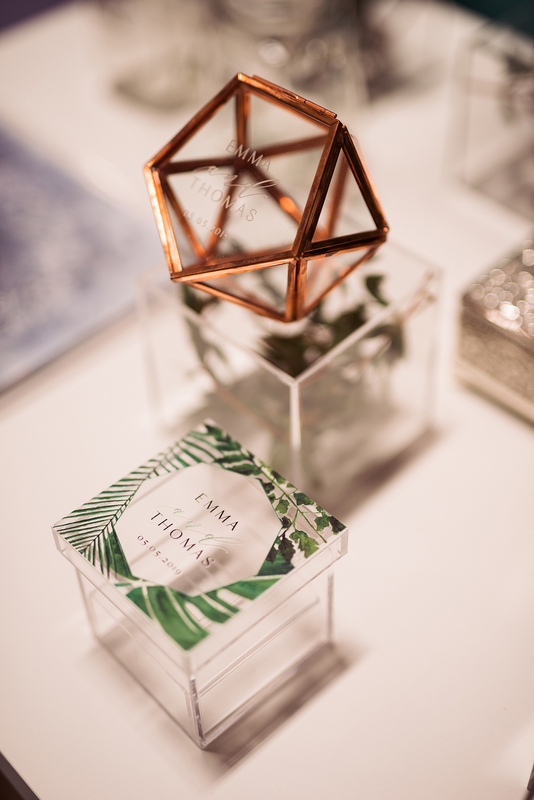 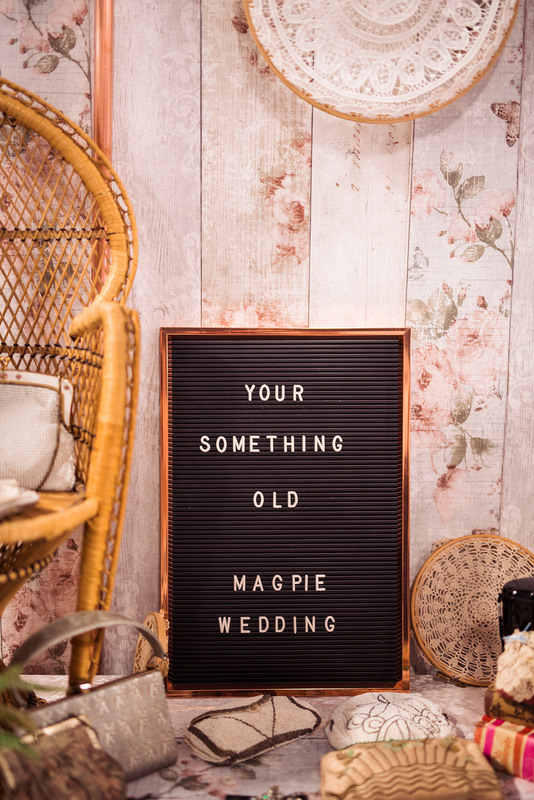 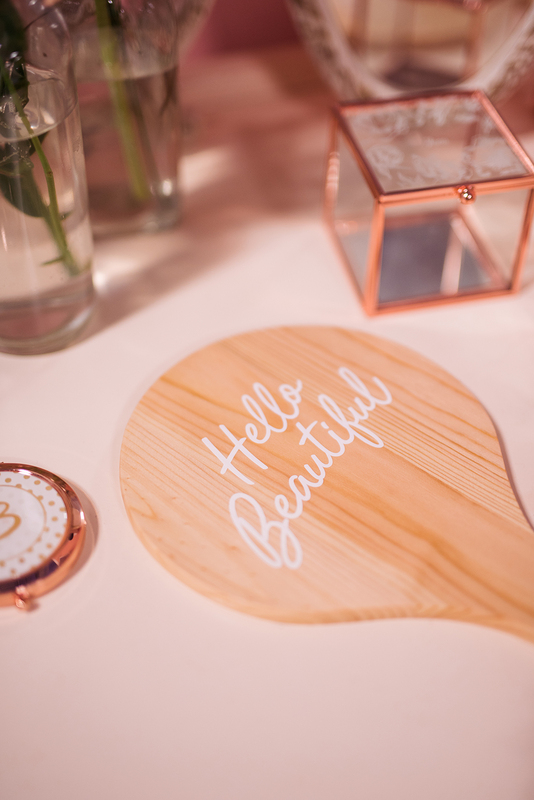 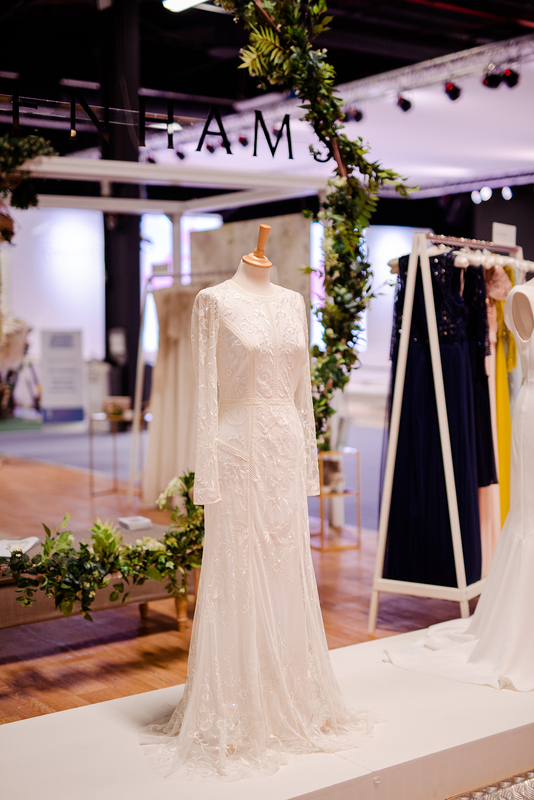 Bringing you the latest from The National Wedding Show in Manchester, we’ll share with you some of the best inspirations and things to see captured by Catharine Noble Photography. 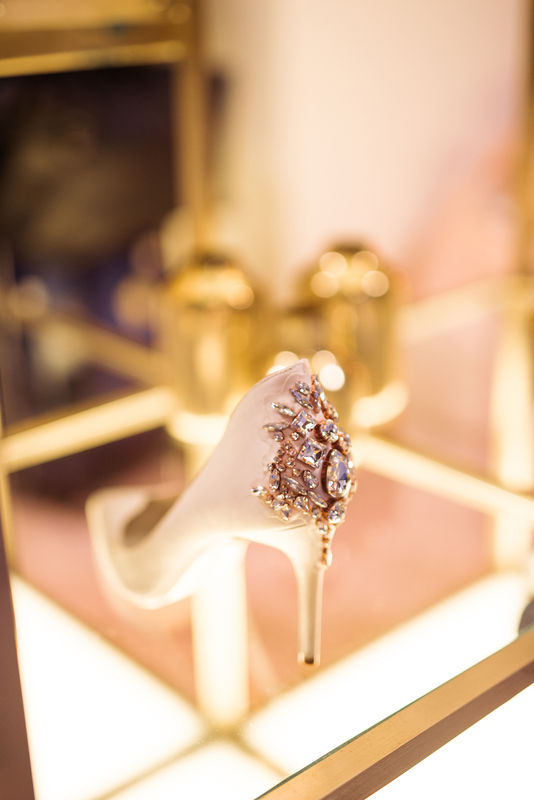 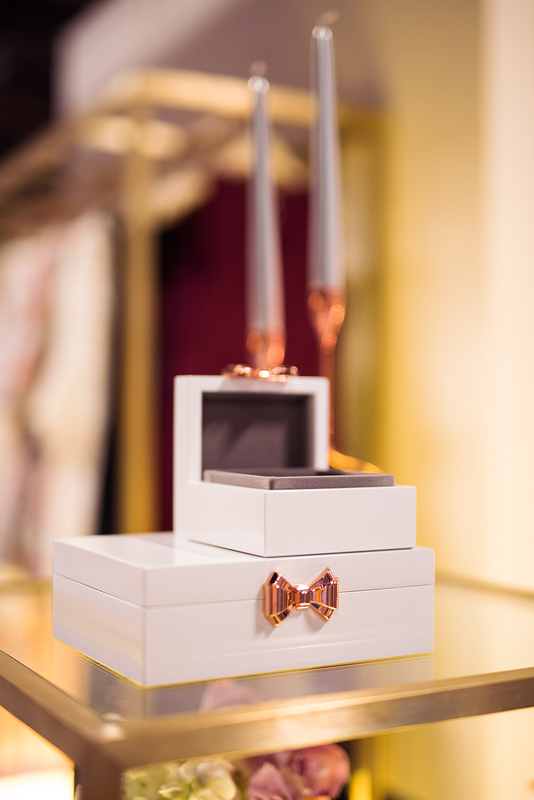 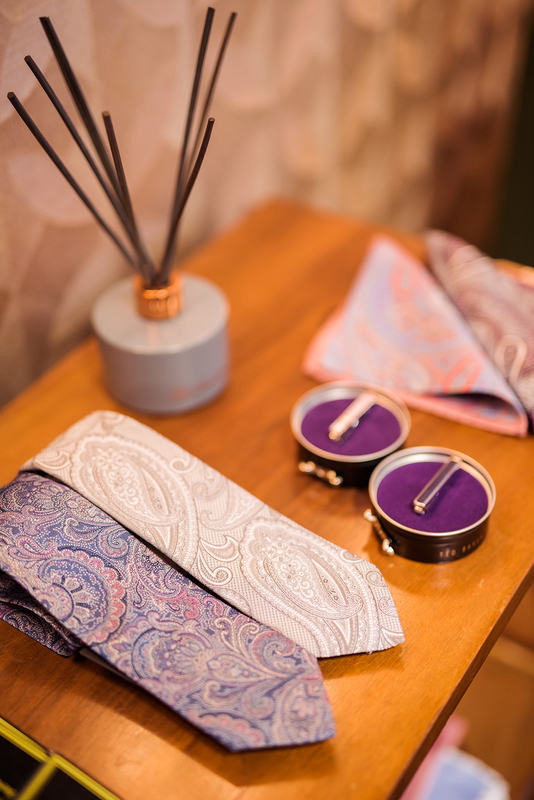 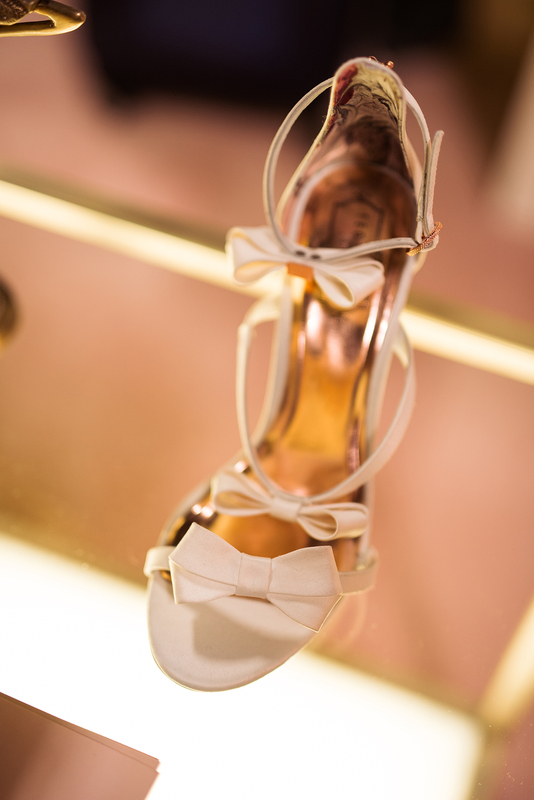 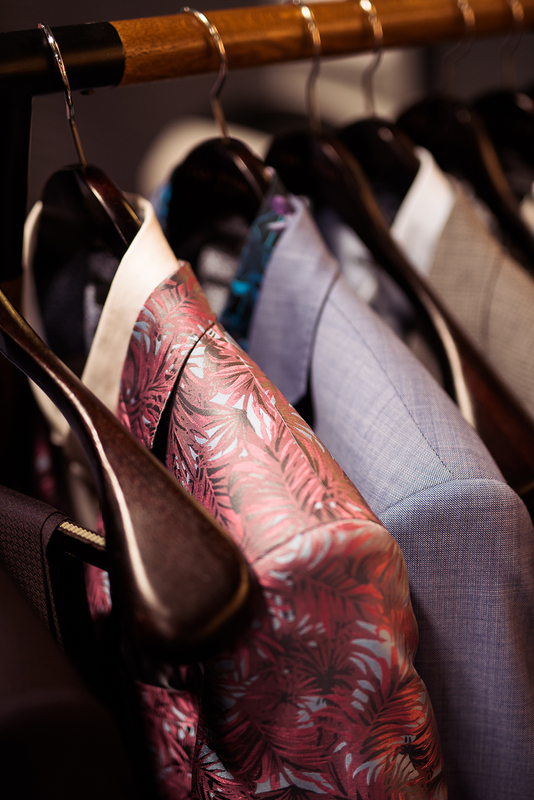 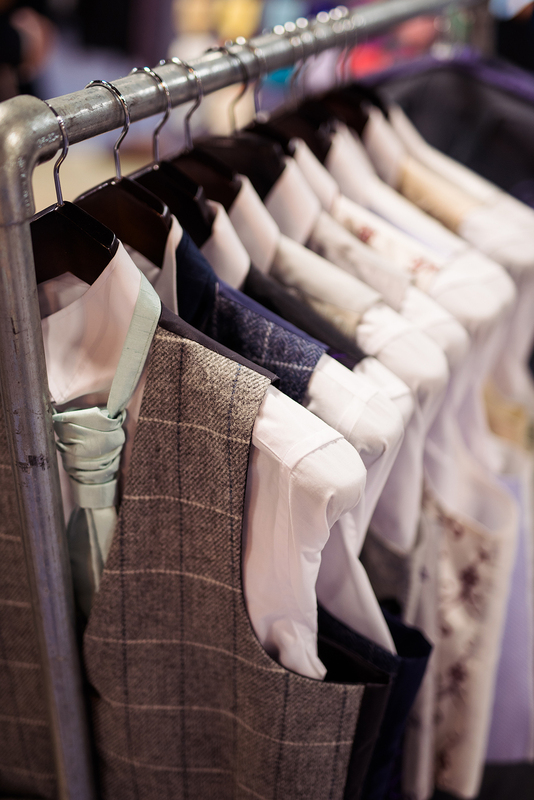 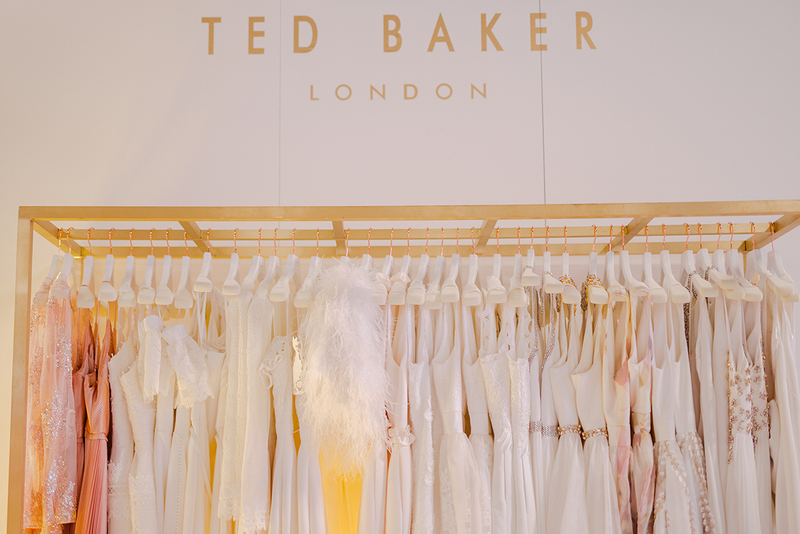 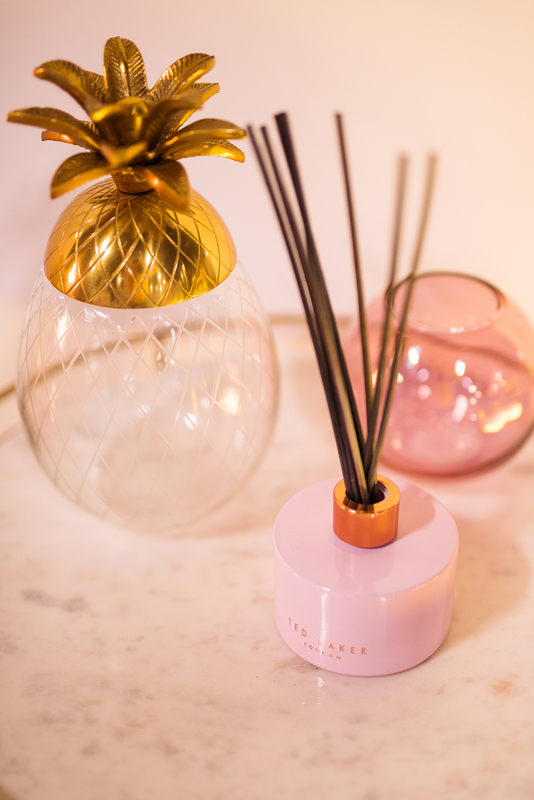 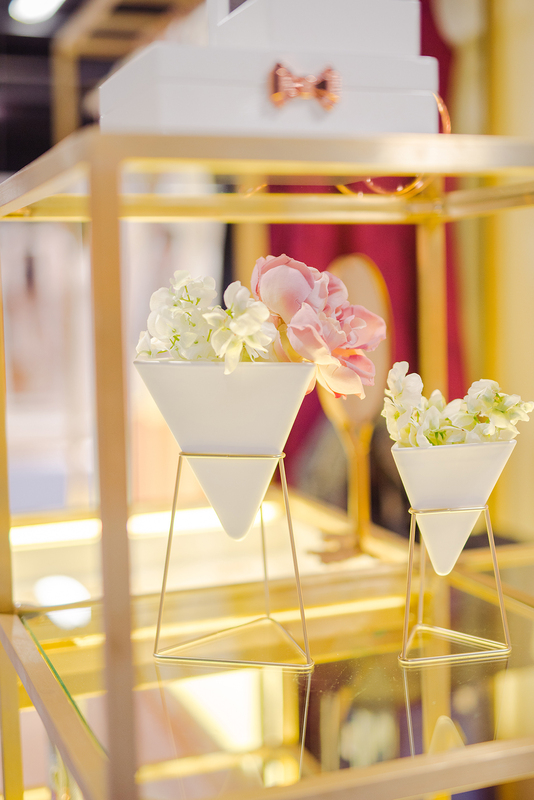 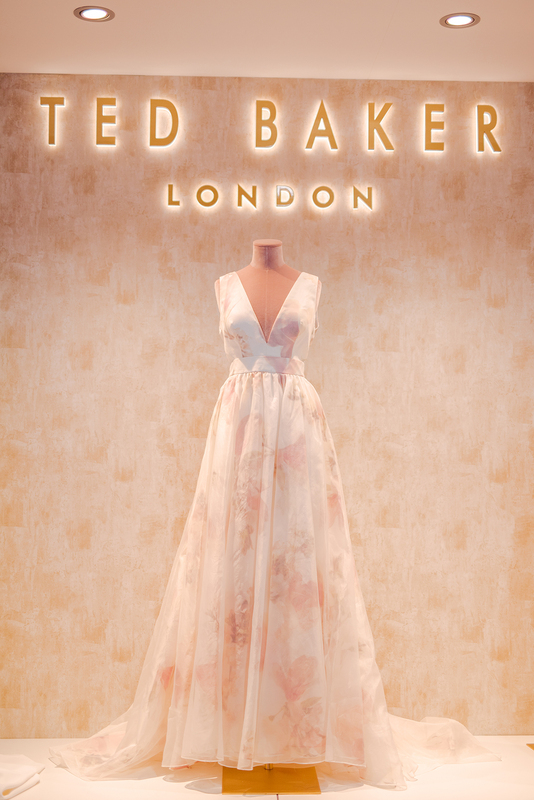 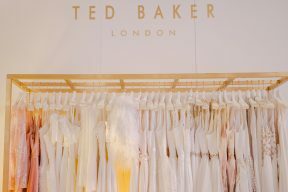 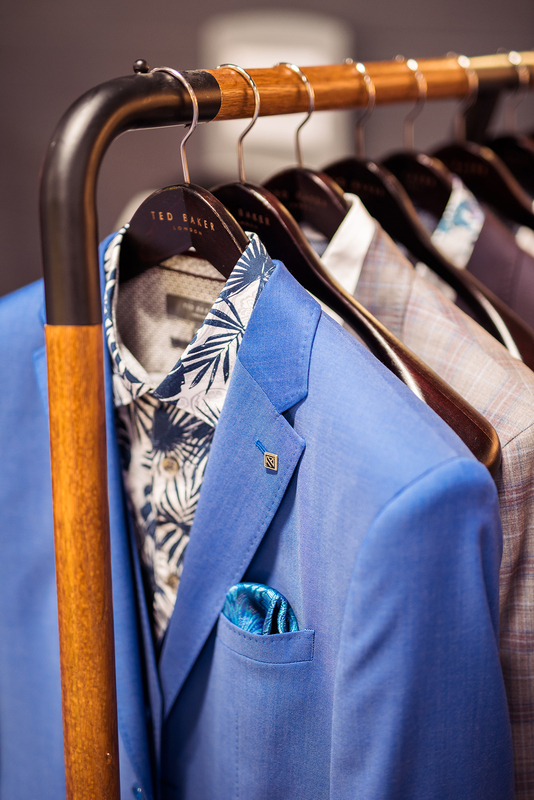 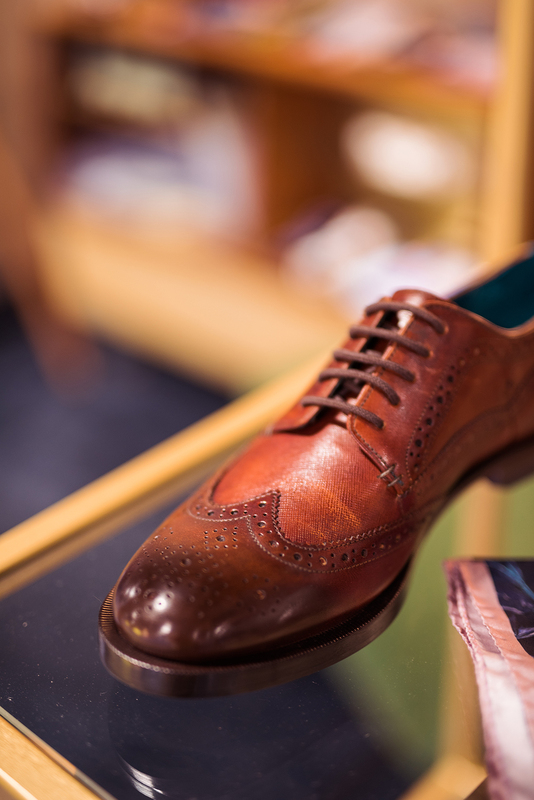 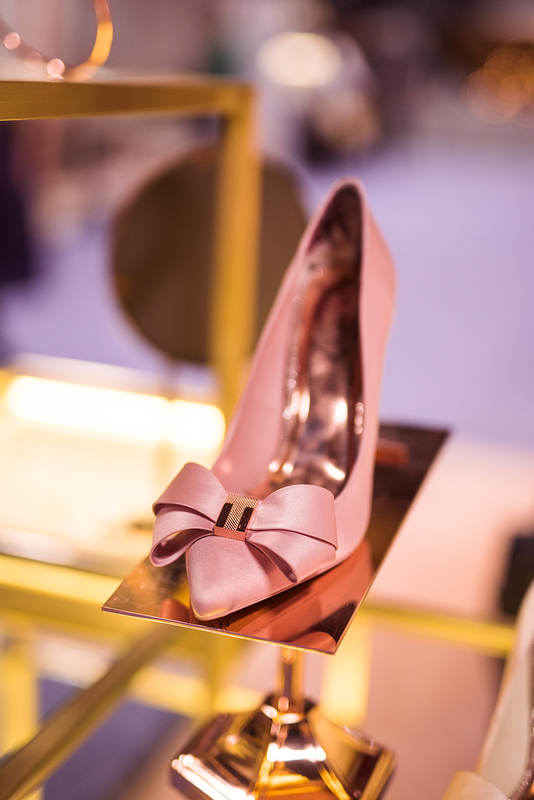 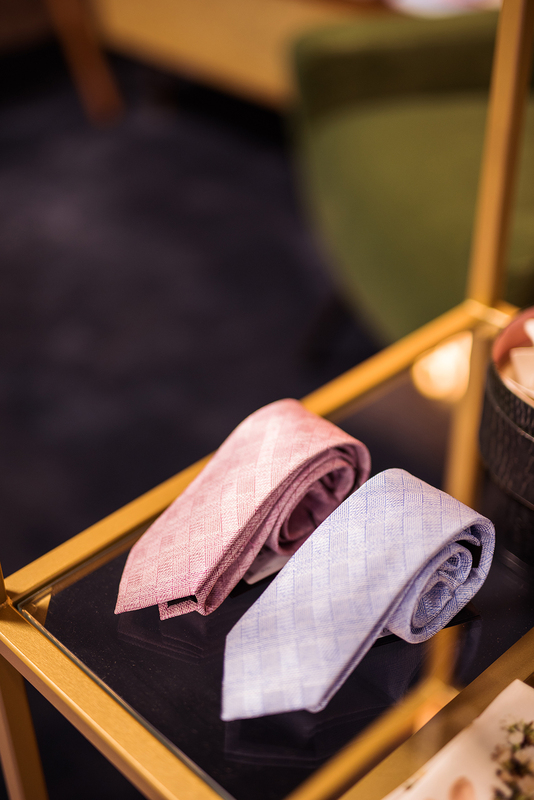 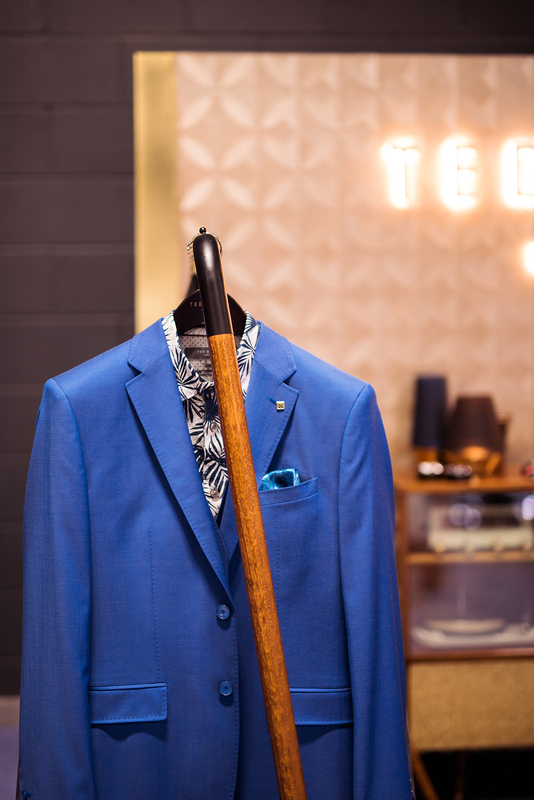 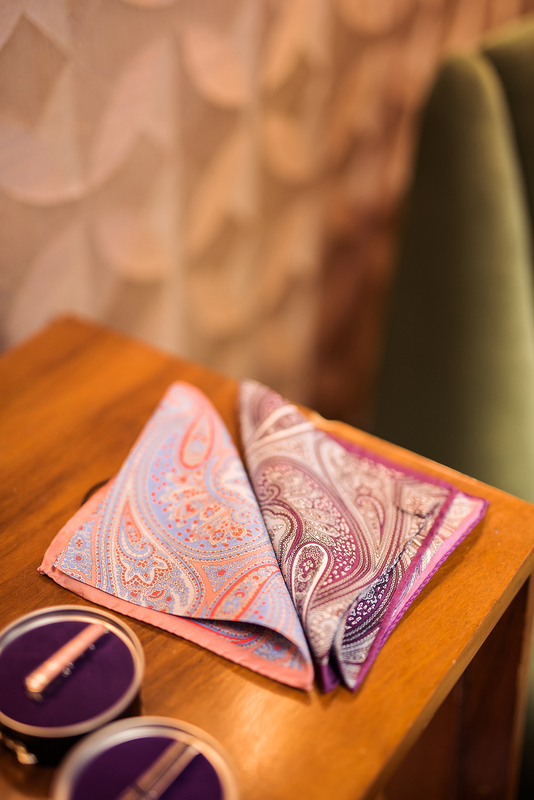 Let’s start with the Ted Baker stand was a complete show stopper! 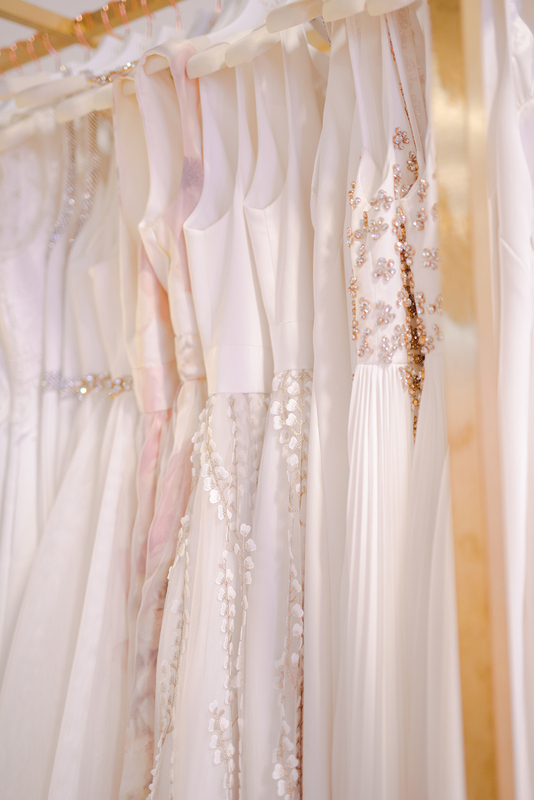 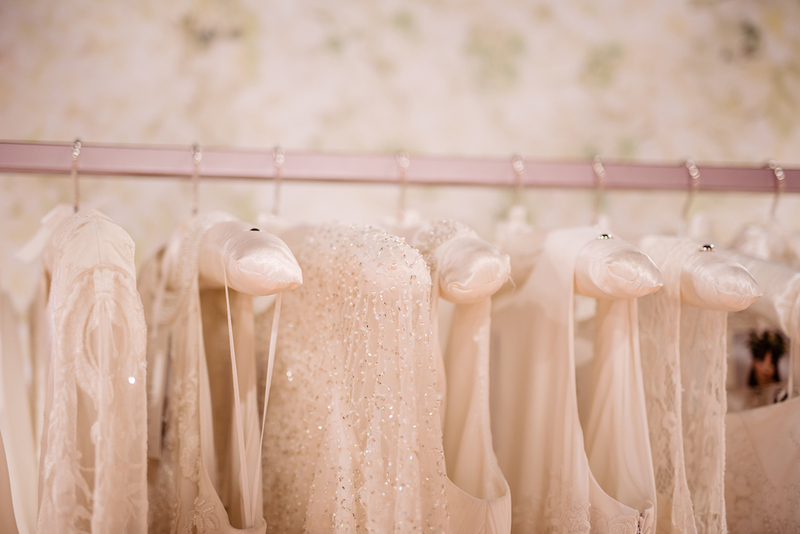 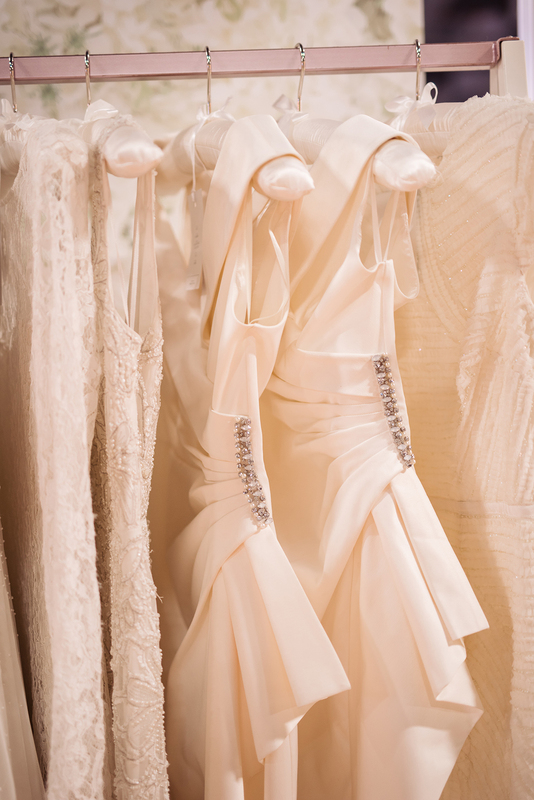 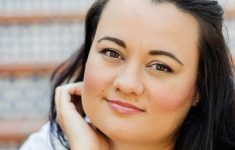 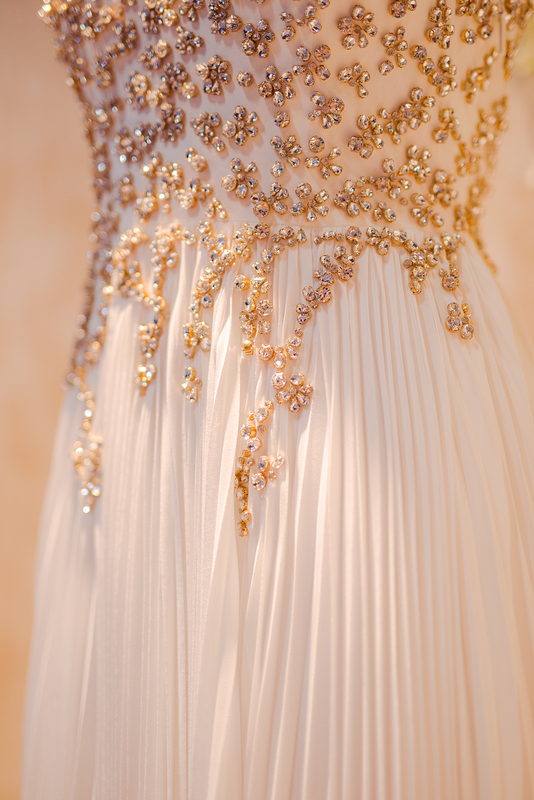 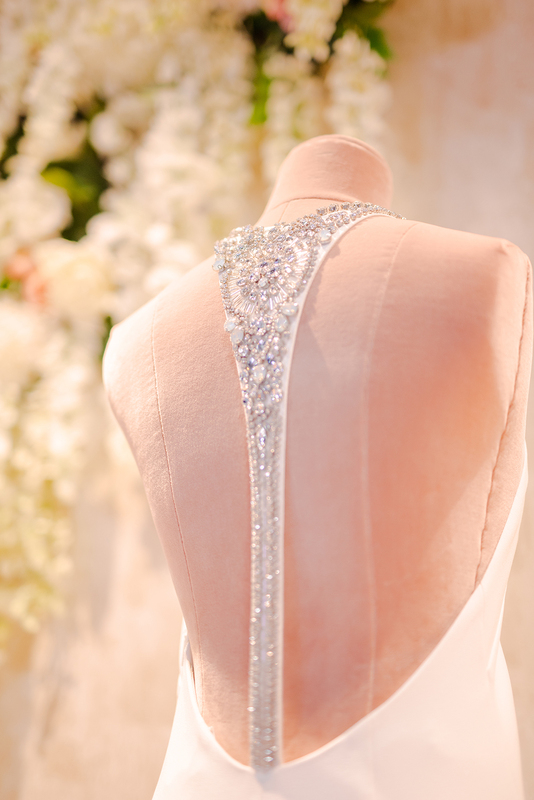 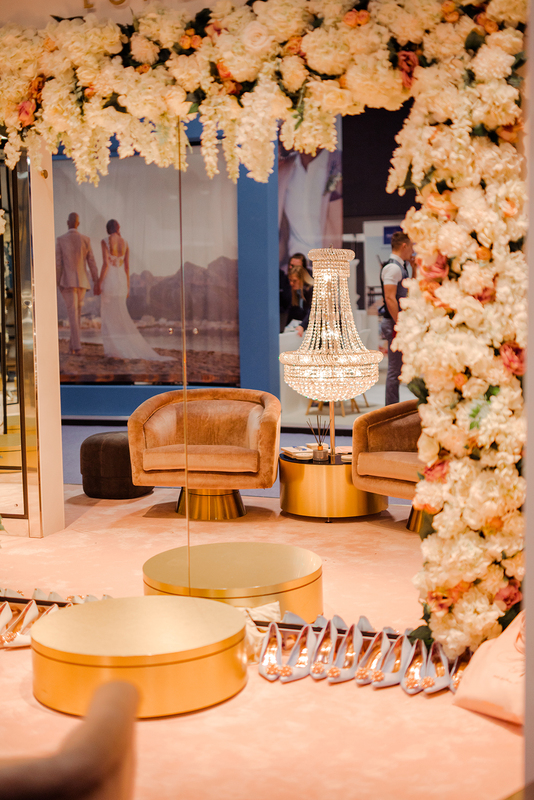 With blush pink carpet and brushed gold fittings where their incredible collection of clothing hung, and a magnificent display of their current wedding dresses. 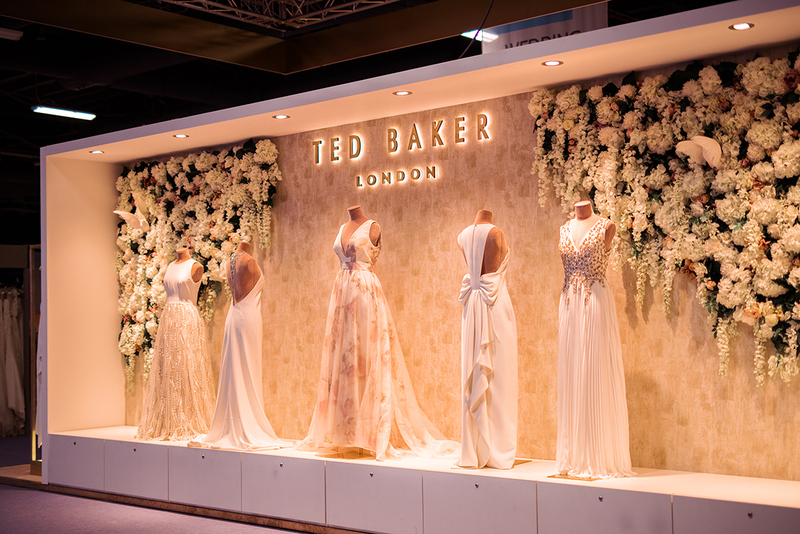 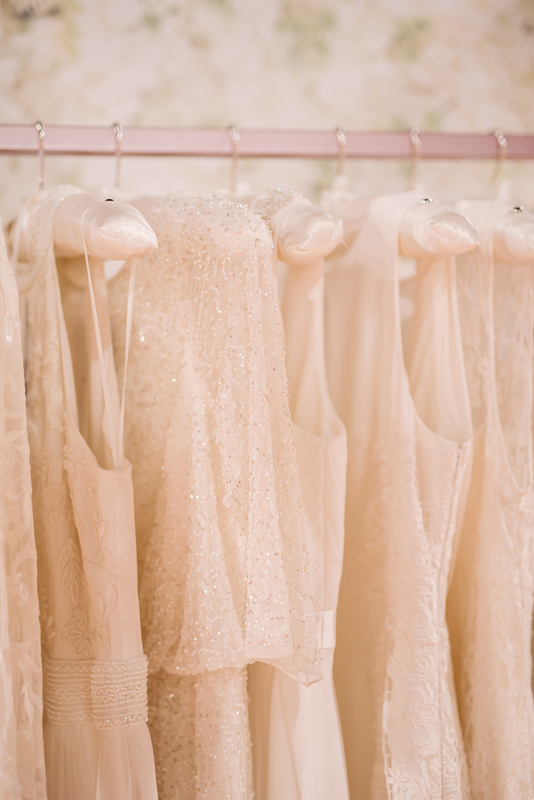 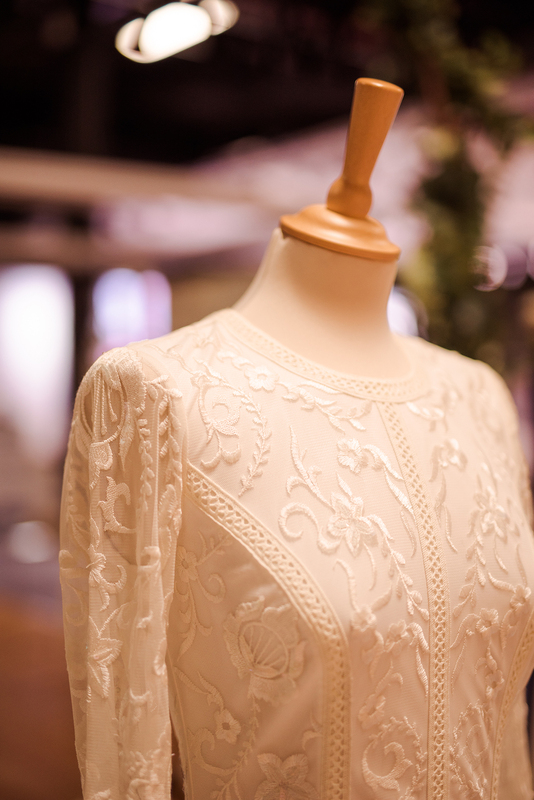 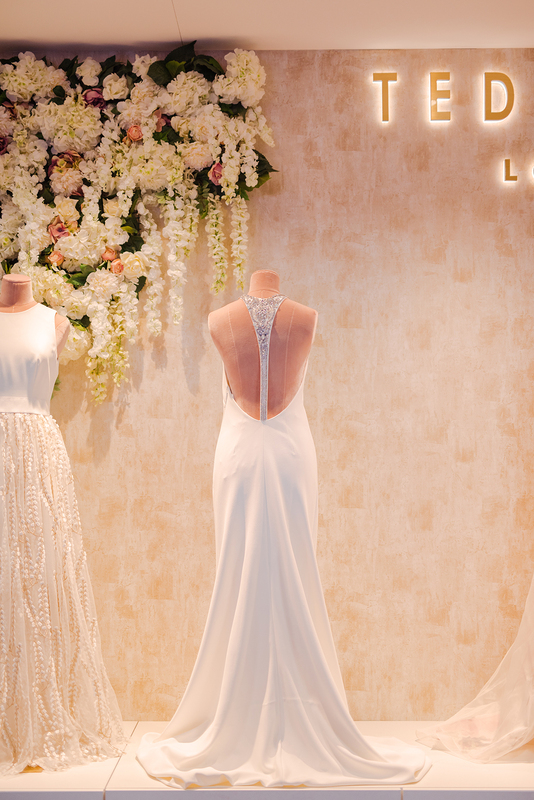 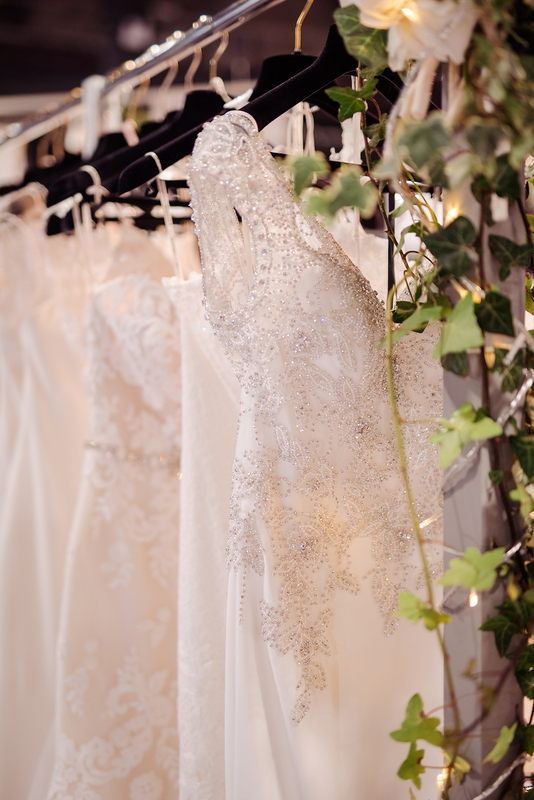 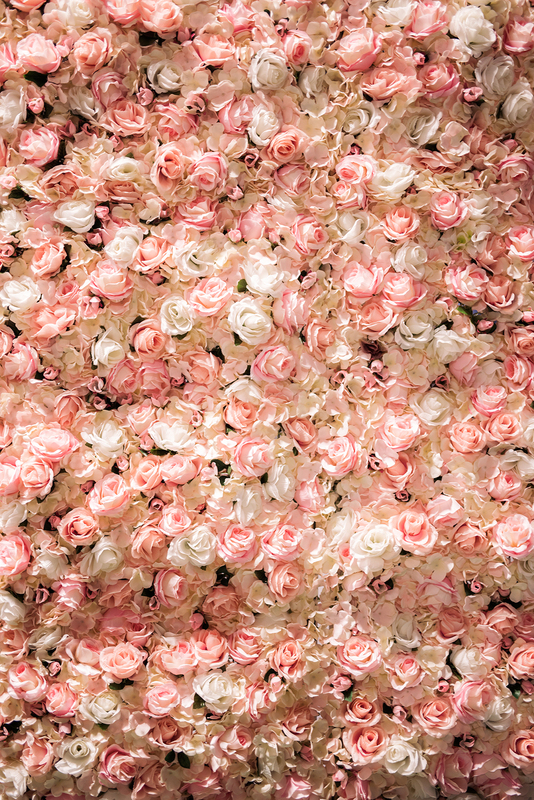 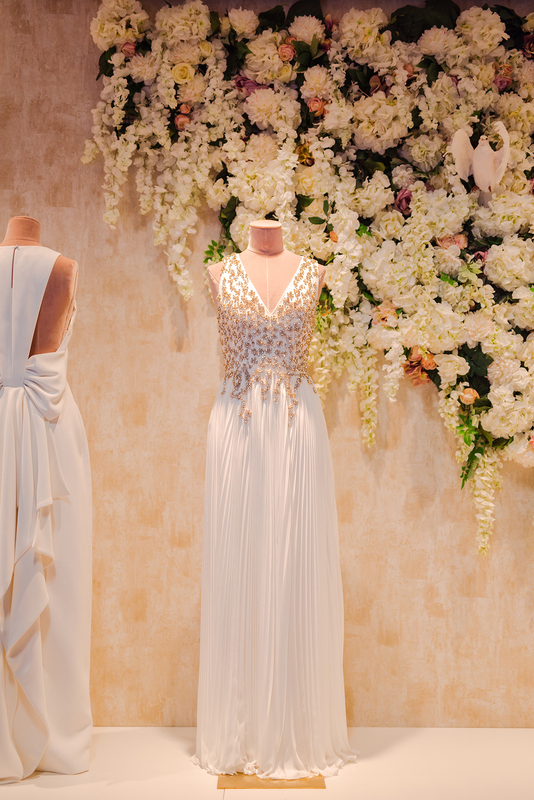 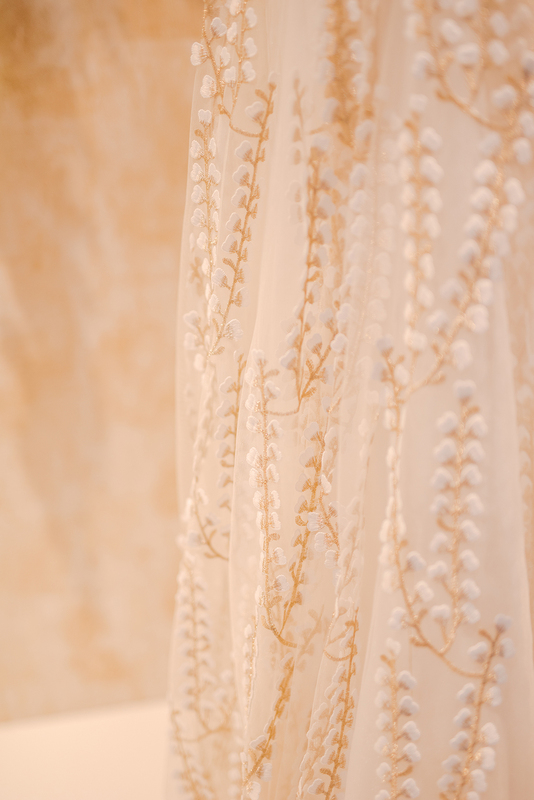 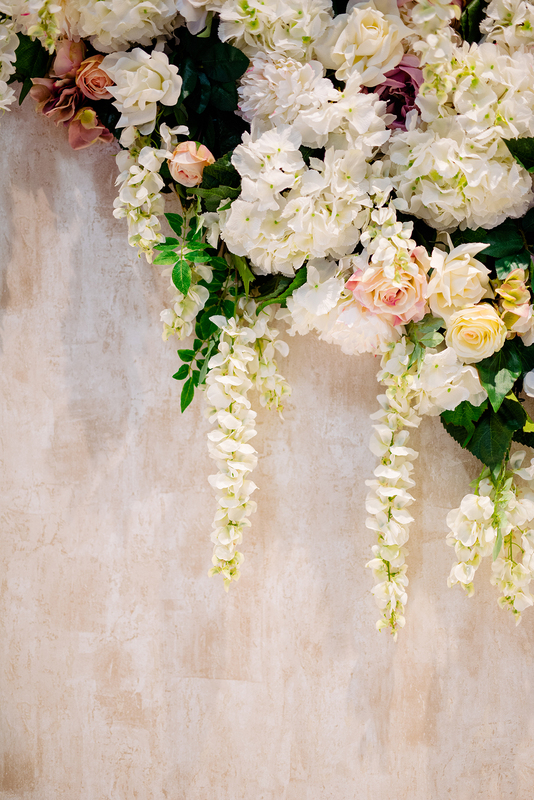 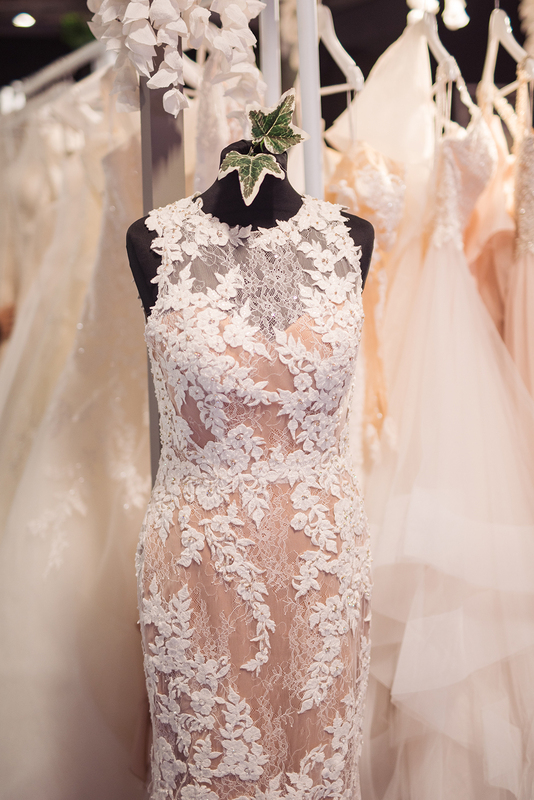 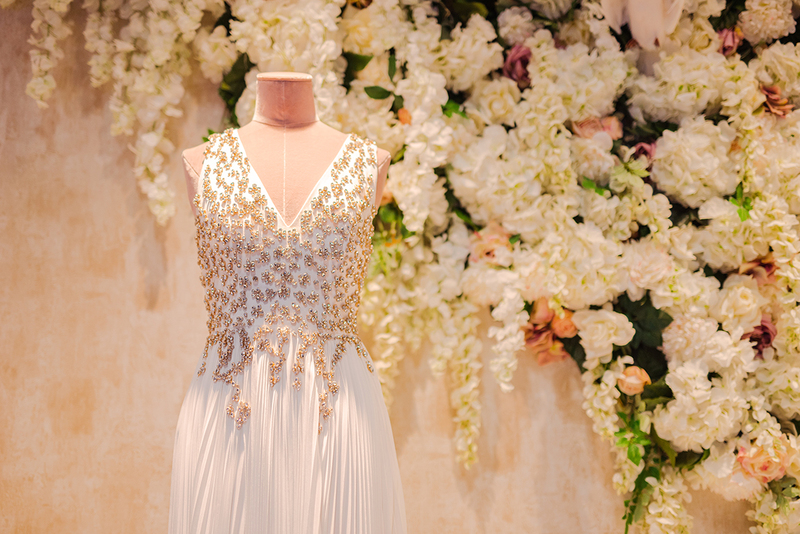 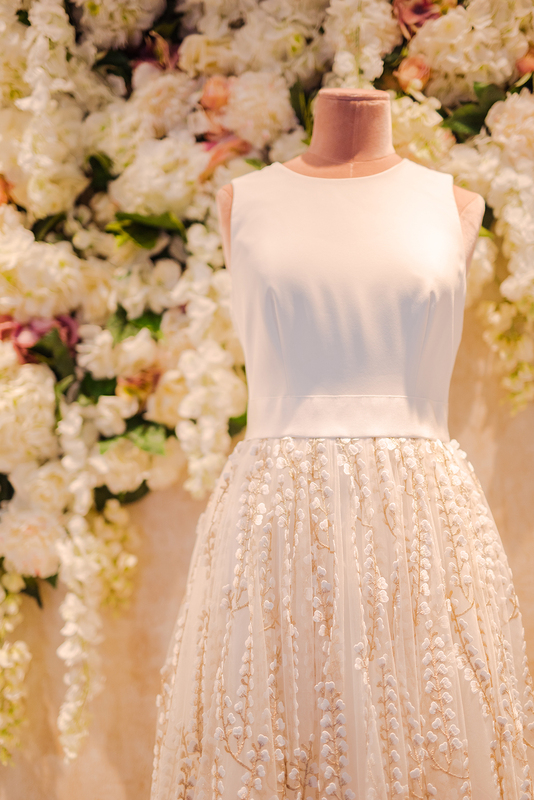 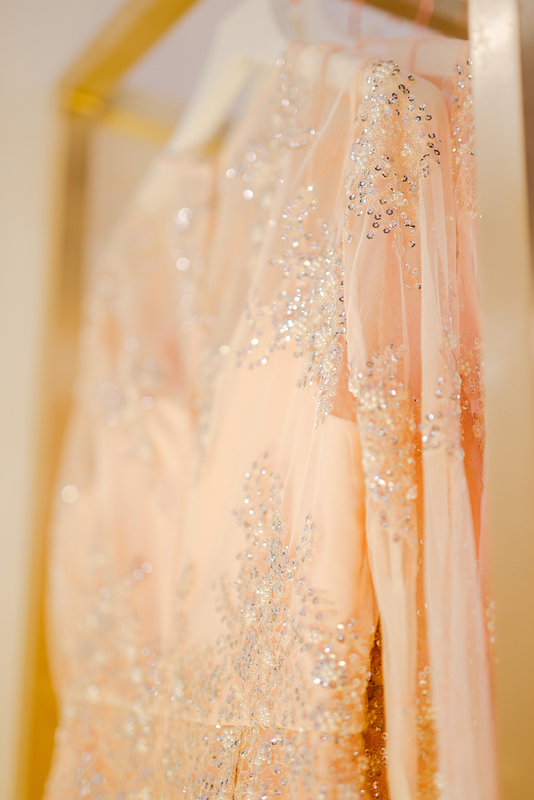 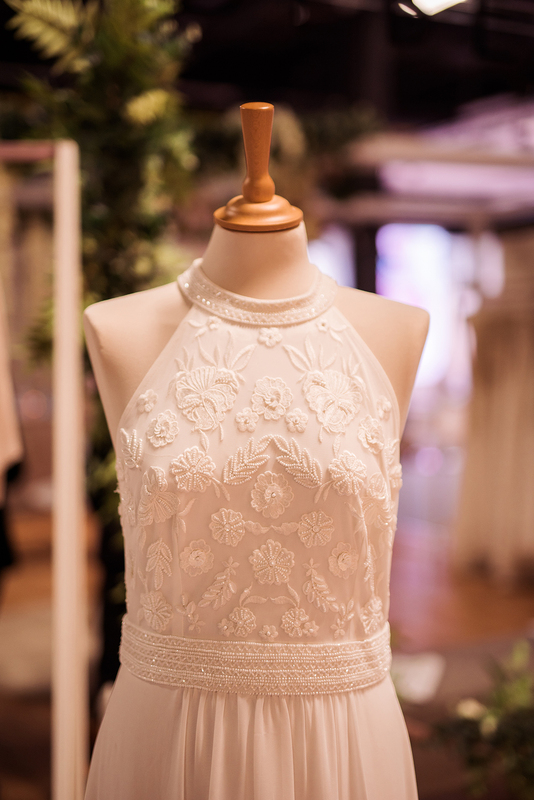 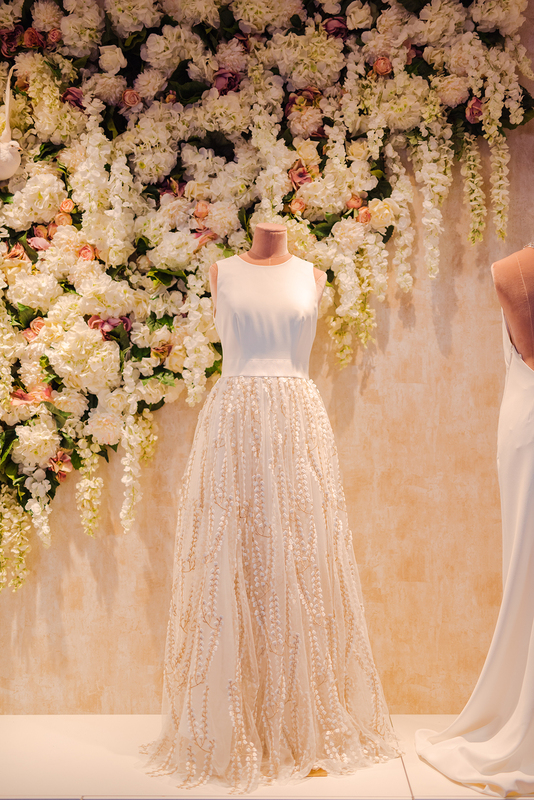 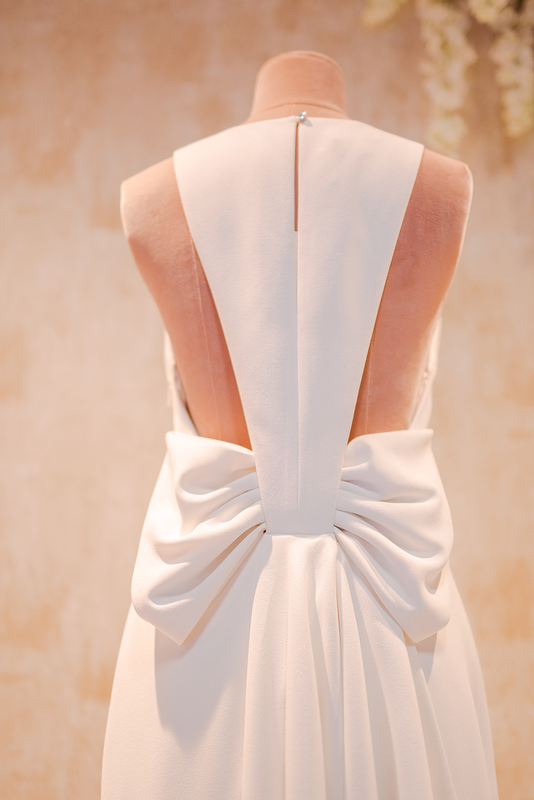 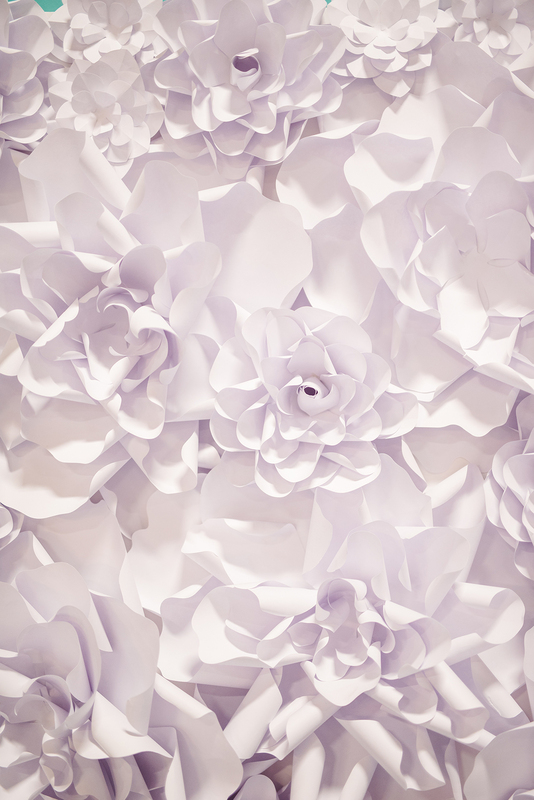 Displayed in front of a wall covered in beautiful silk spring flowers, their wedding dress collection is beautiful! 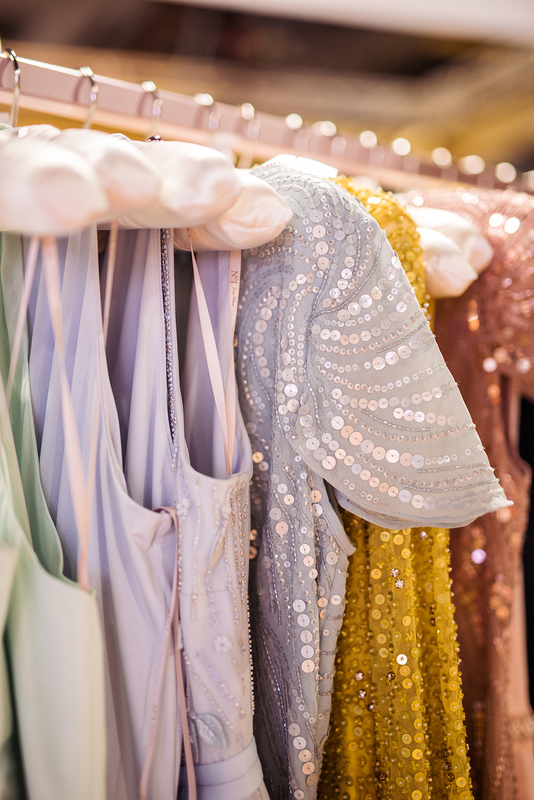 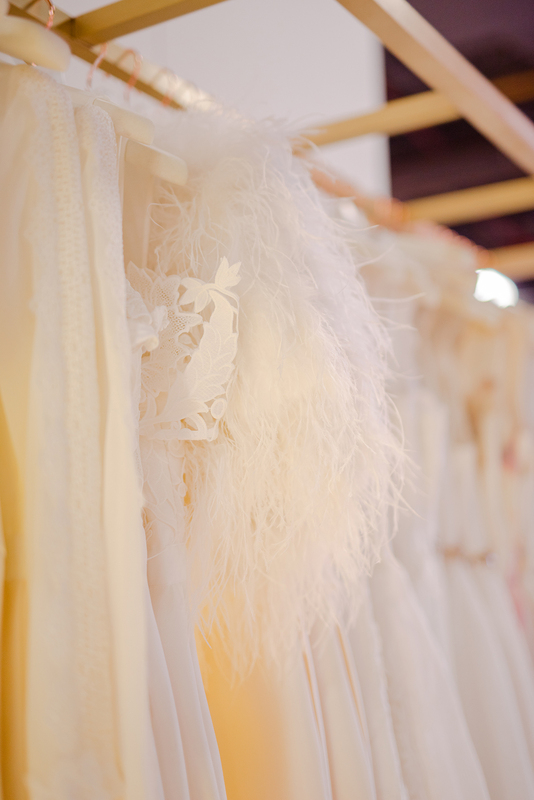 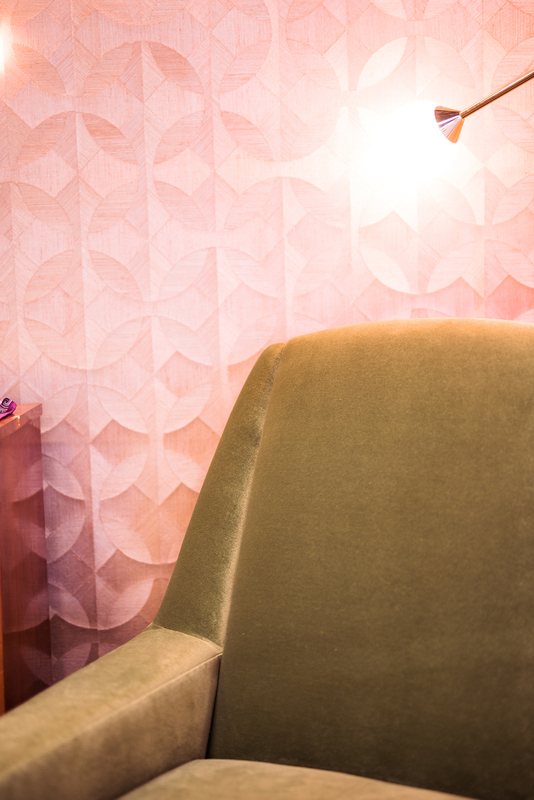 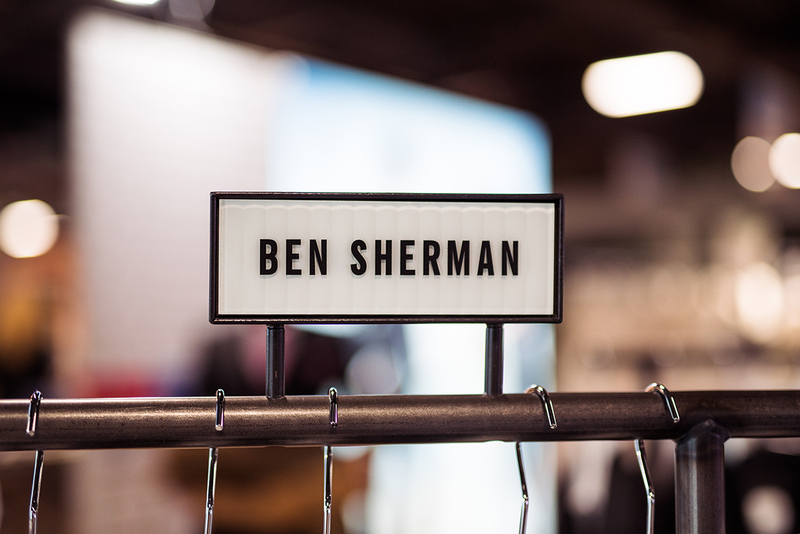 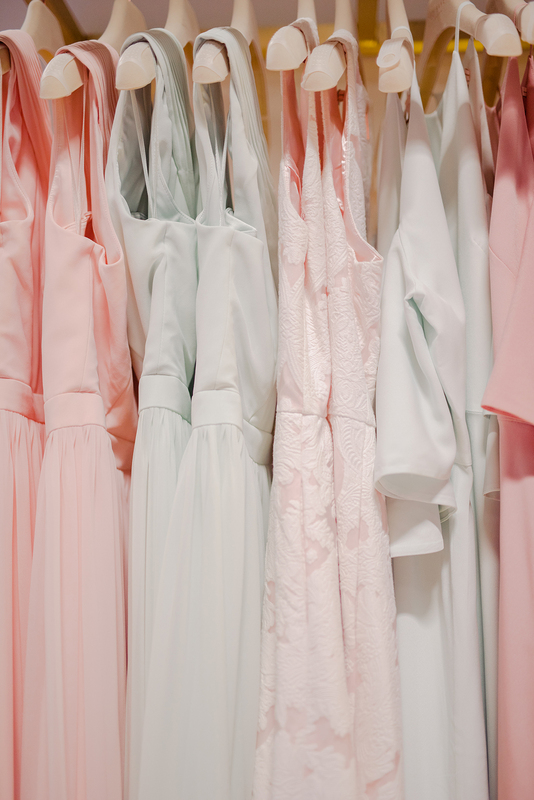 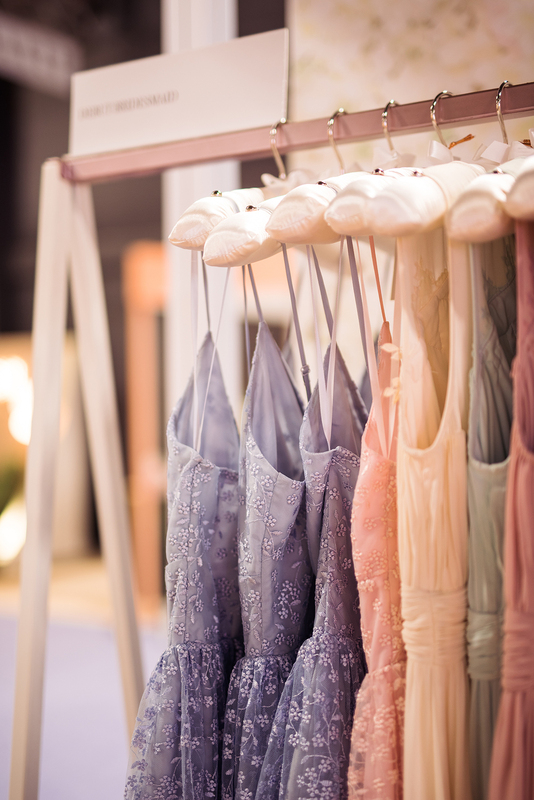 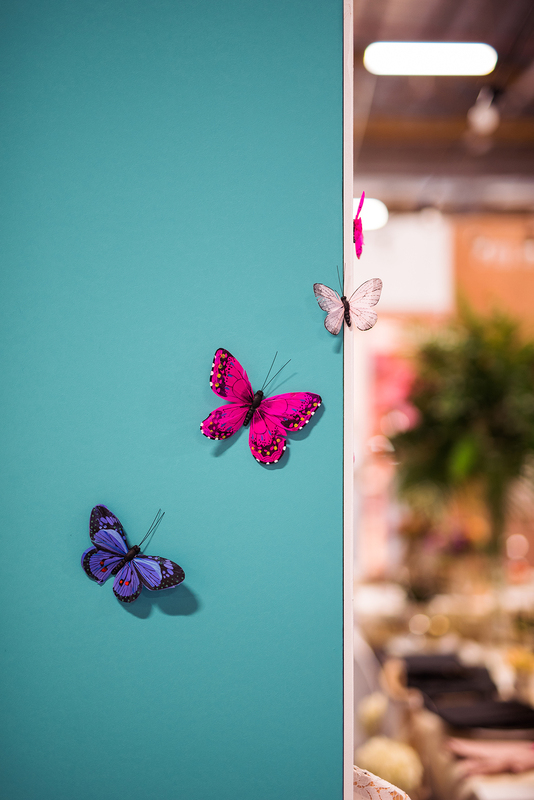 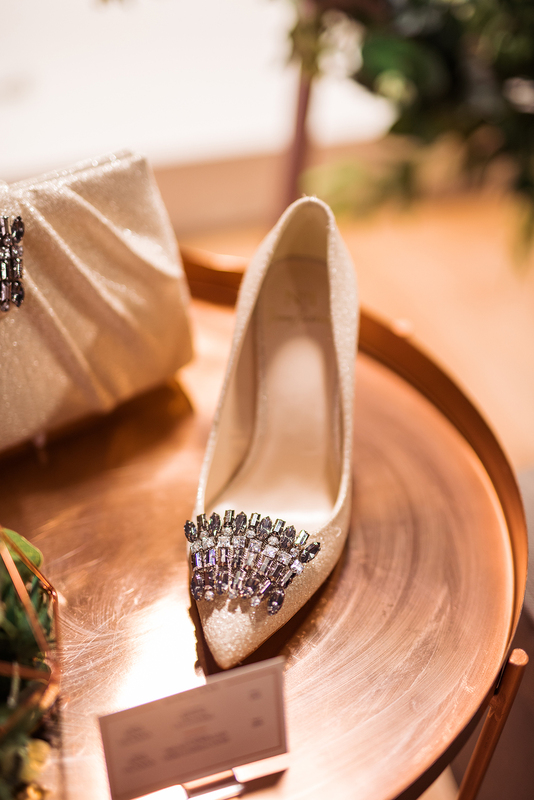 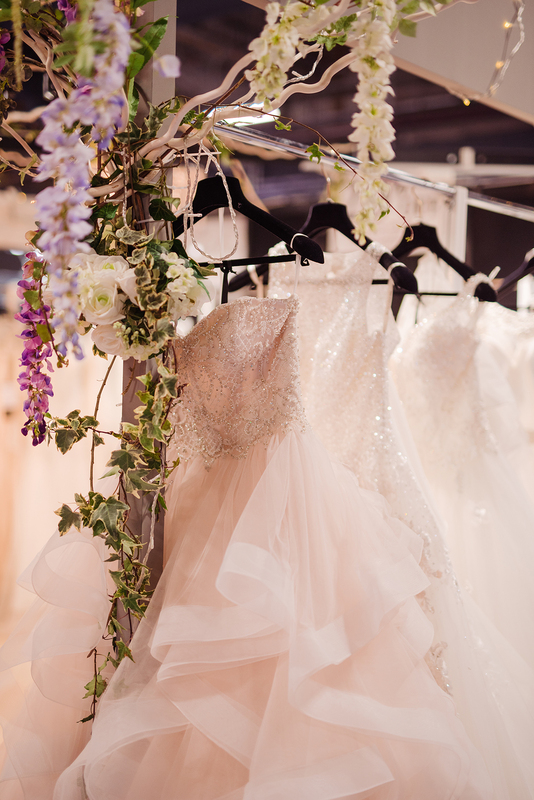 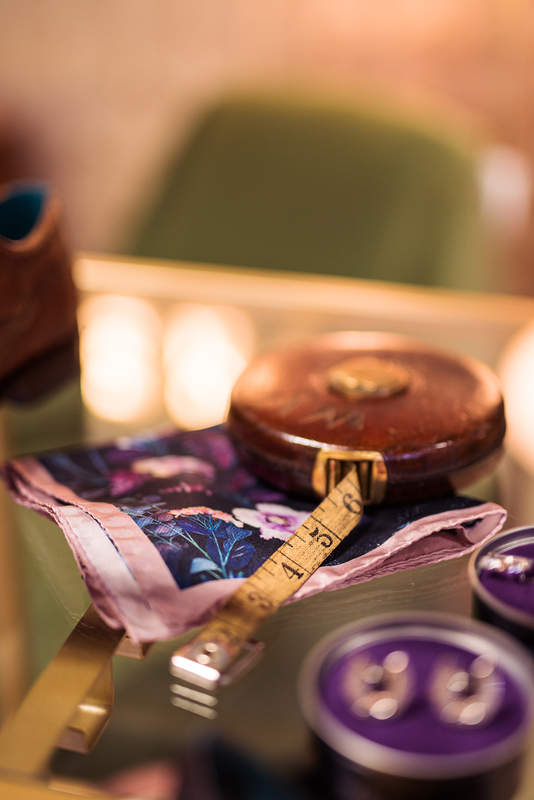 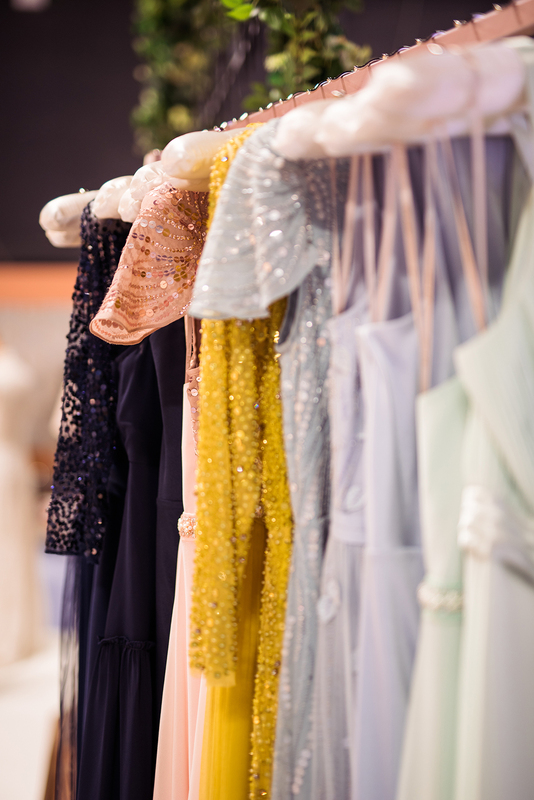 If you weren’t already dazzled enough by the dresses, sparkly shoes and awesome decor, just wait until you see the fitting room area they created! 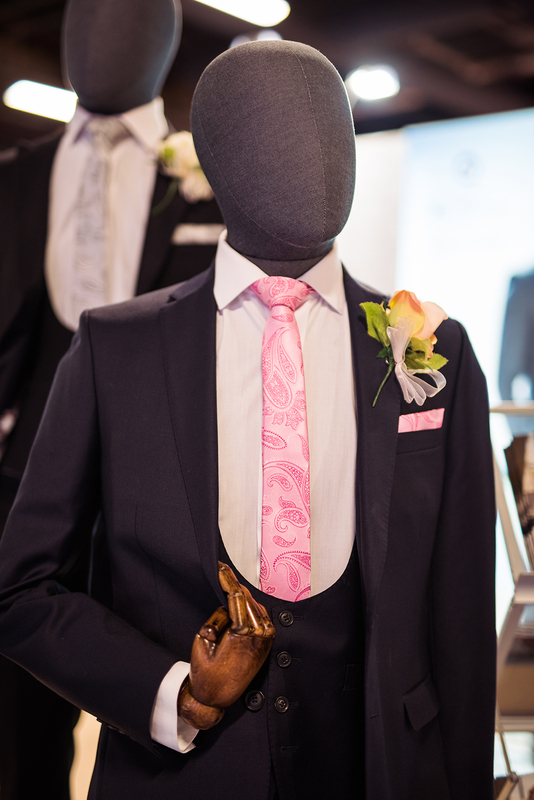 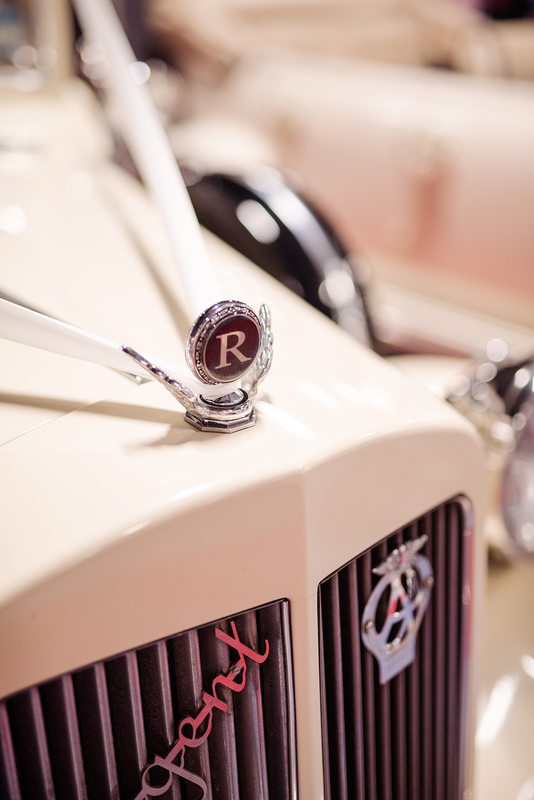 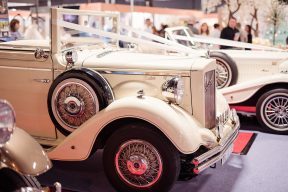 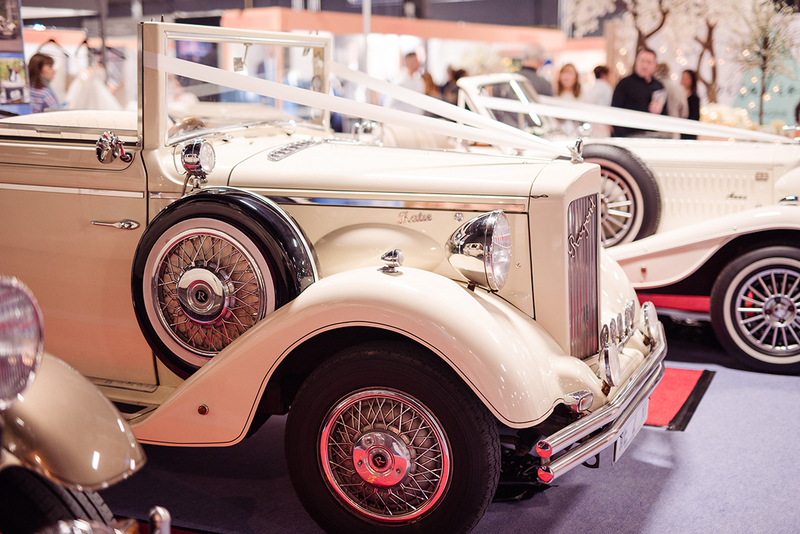 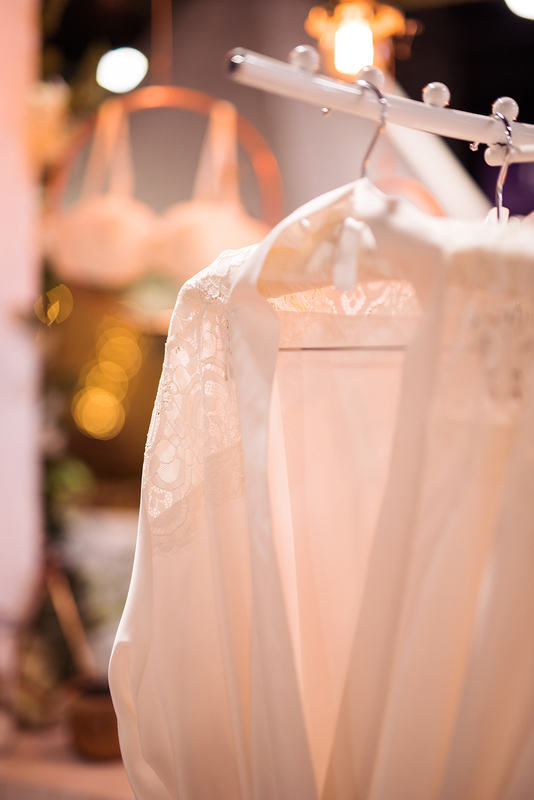 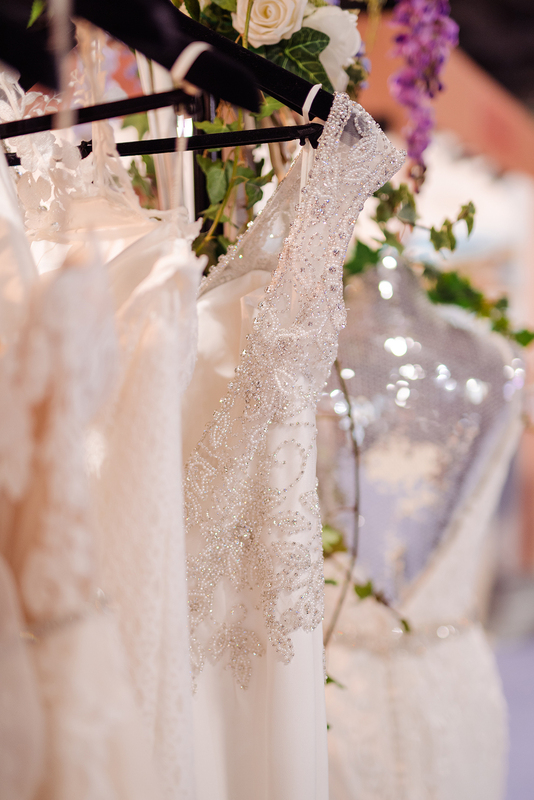 You can more than just suplliers too as The National Wedding Show boats experinces from the VIP Experience to the Entertainment Stage for live music, and of course the Catwalk Shows! 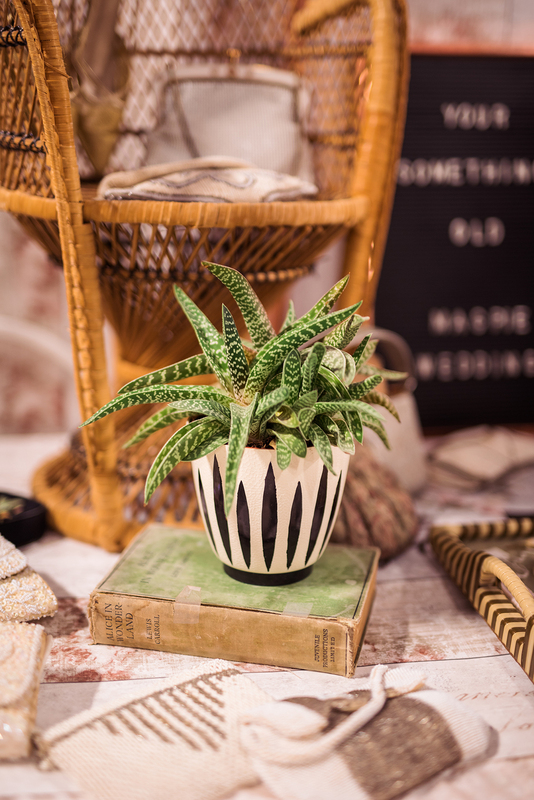 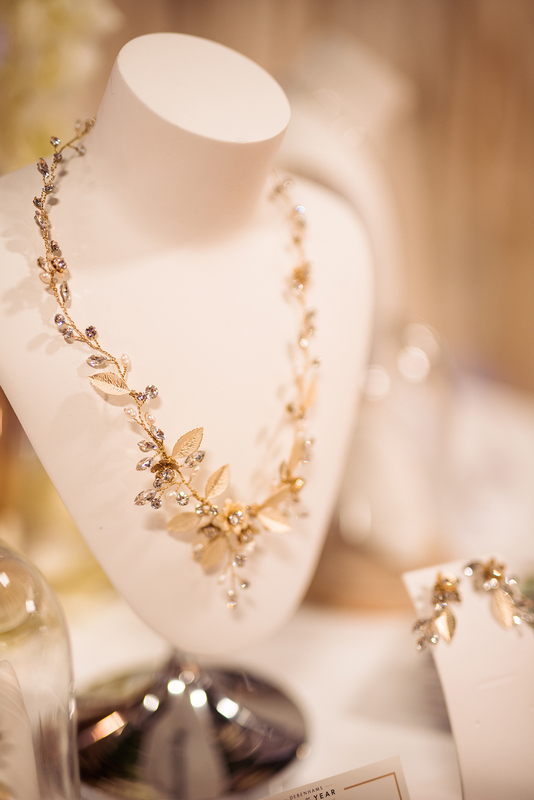 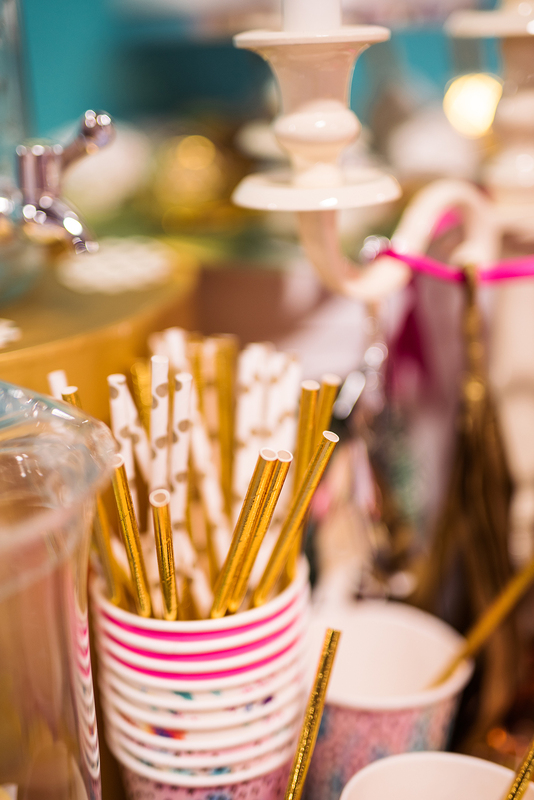 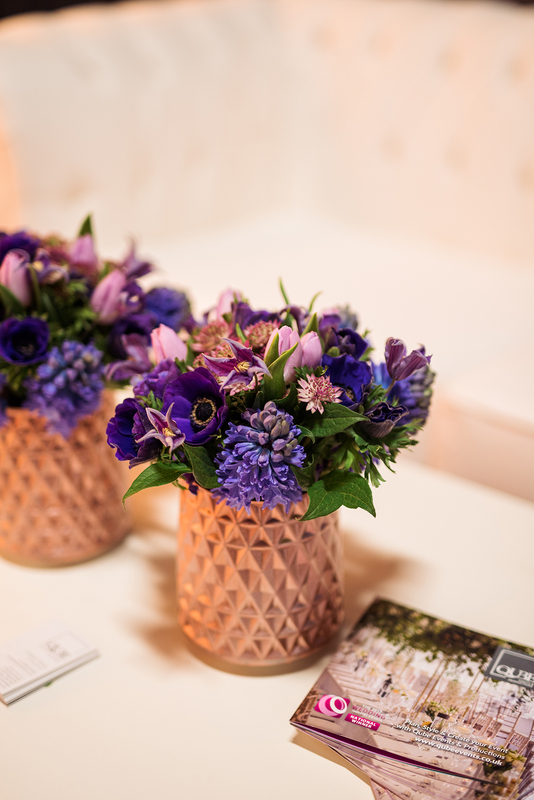 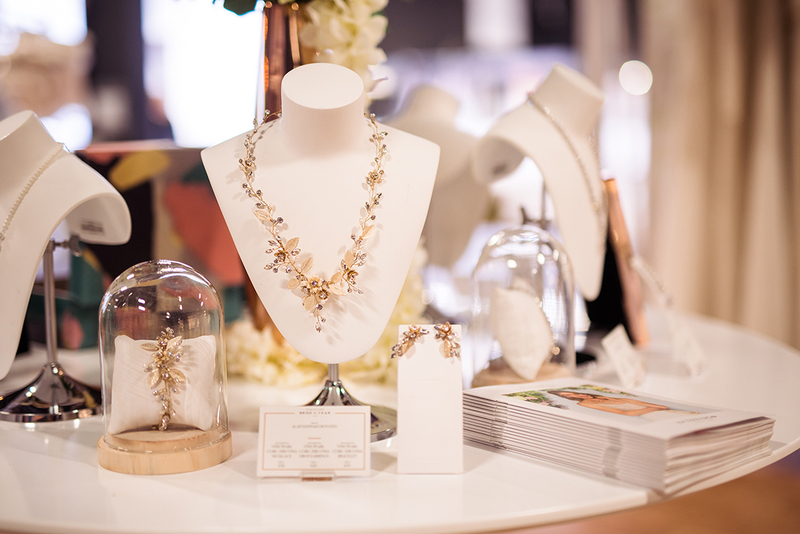 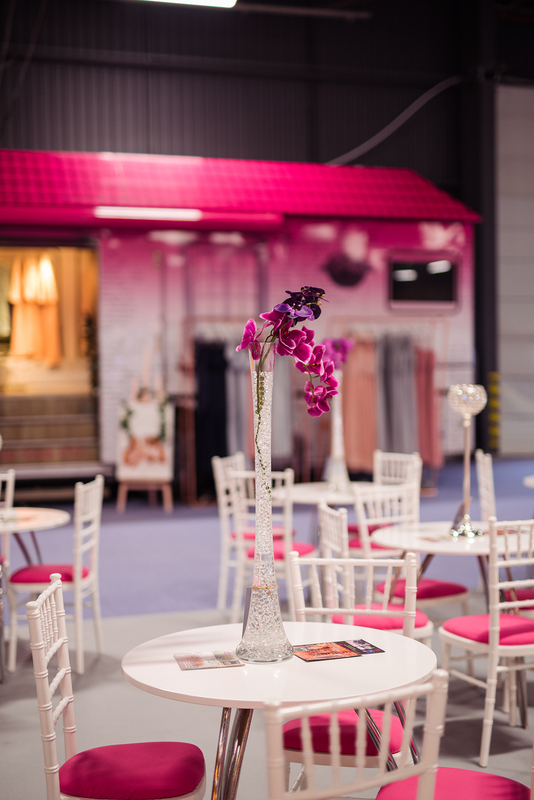 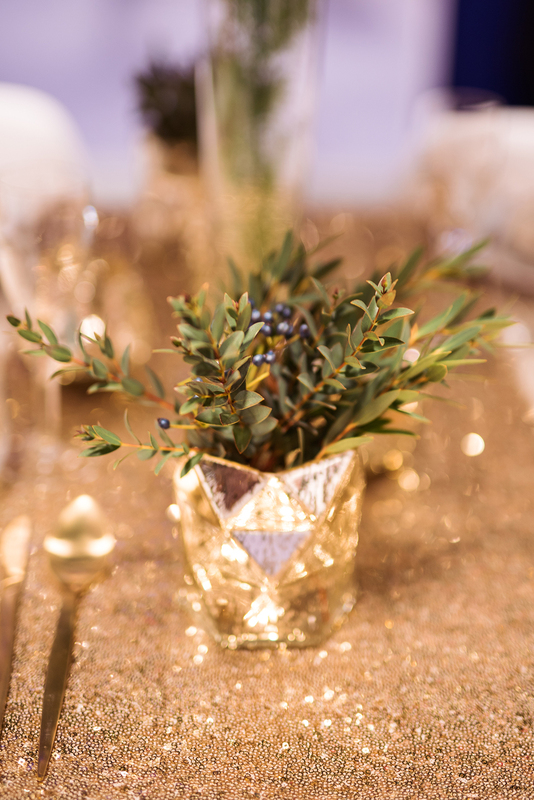 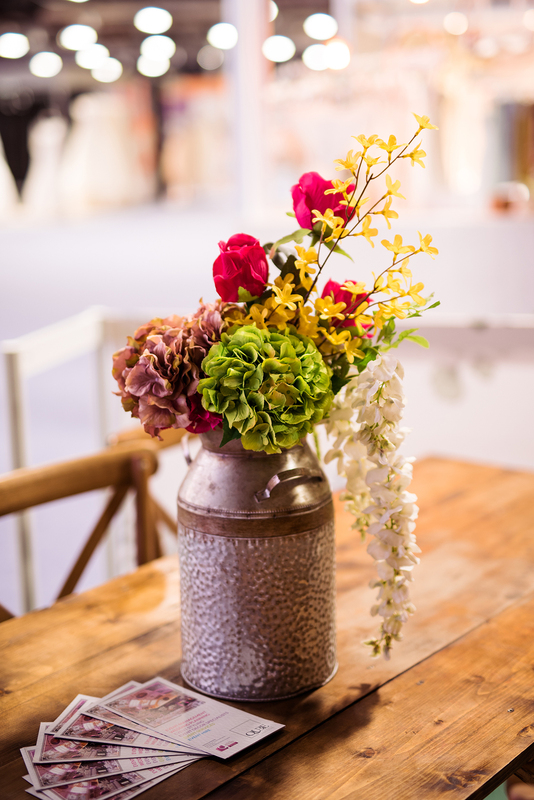 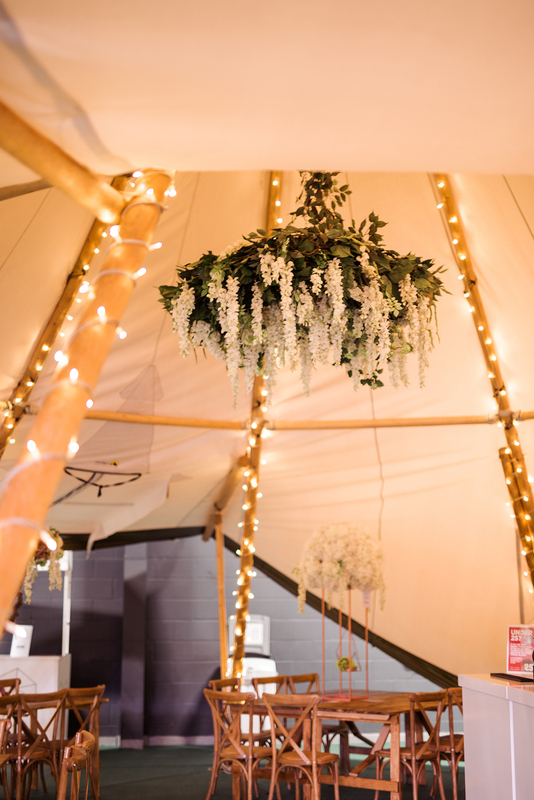 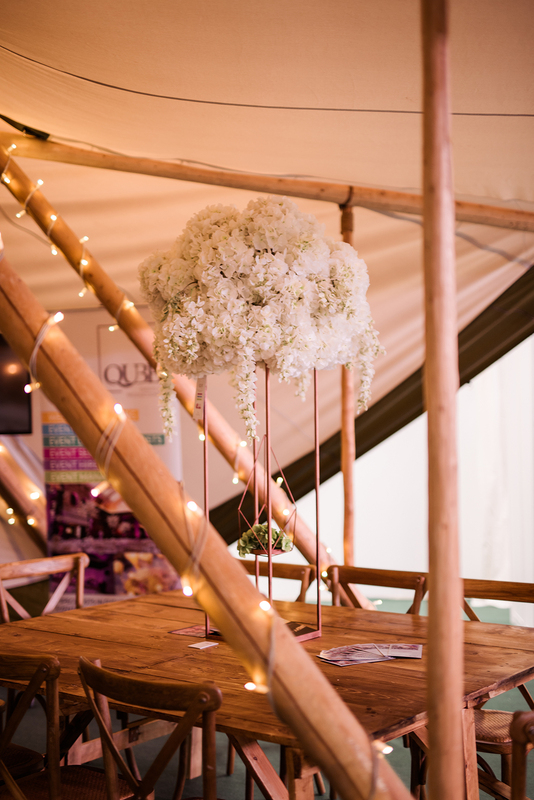 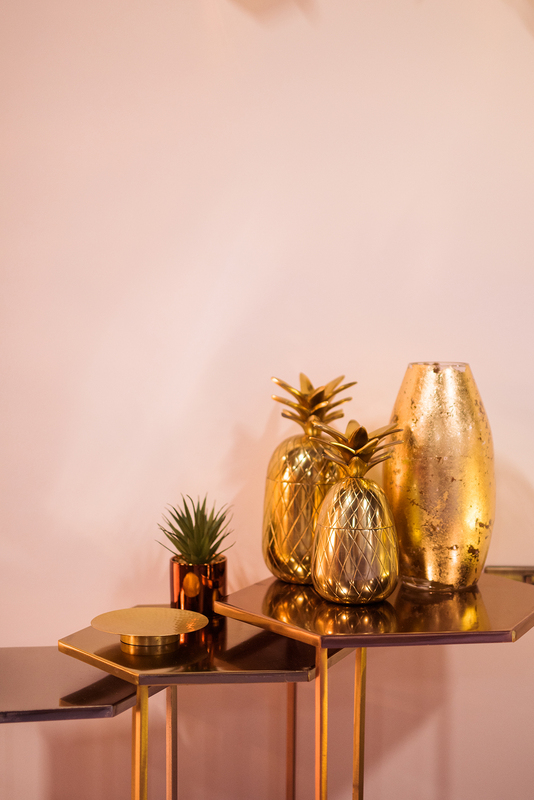 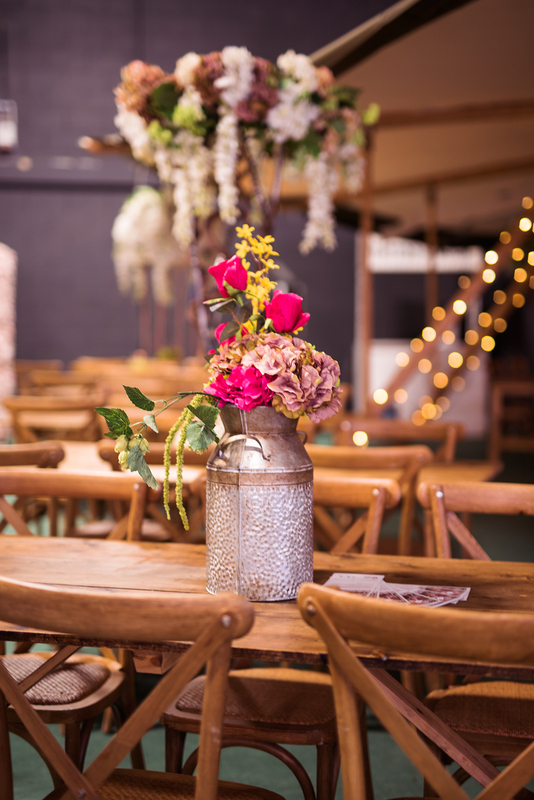 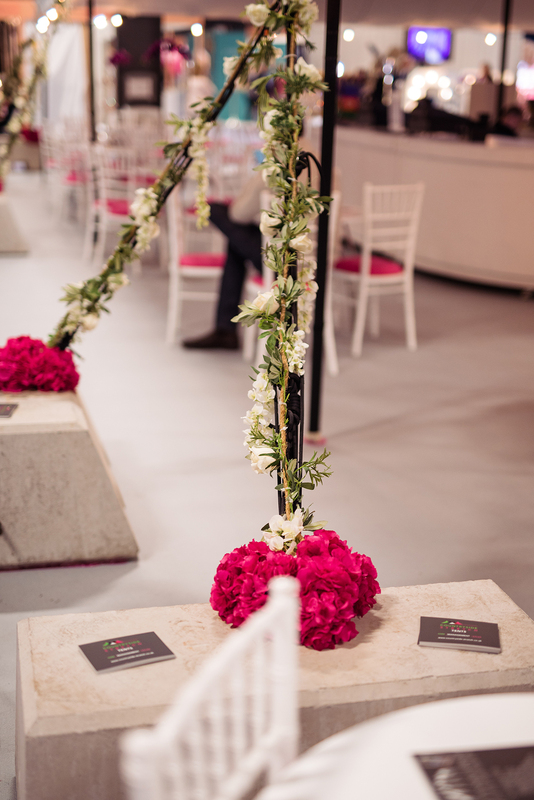 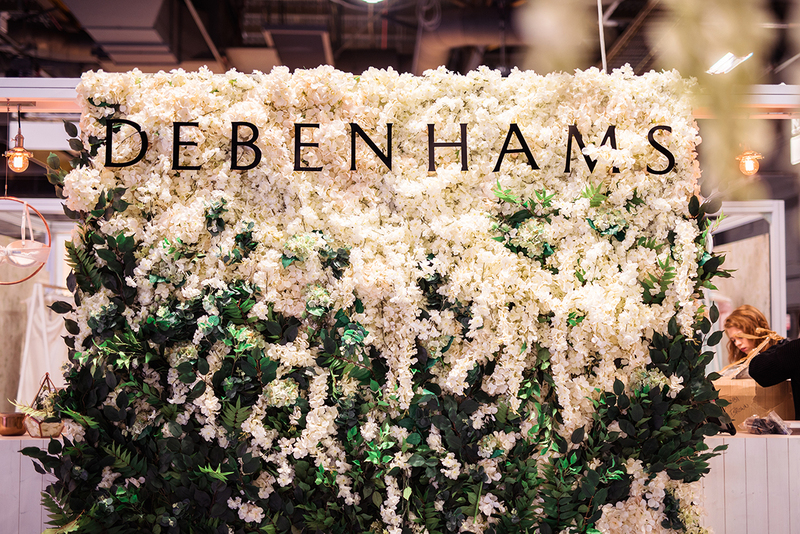 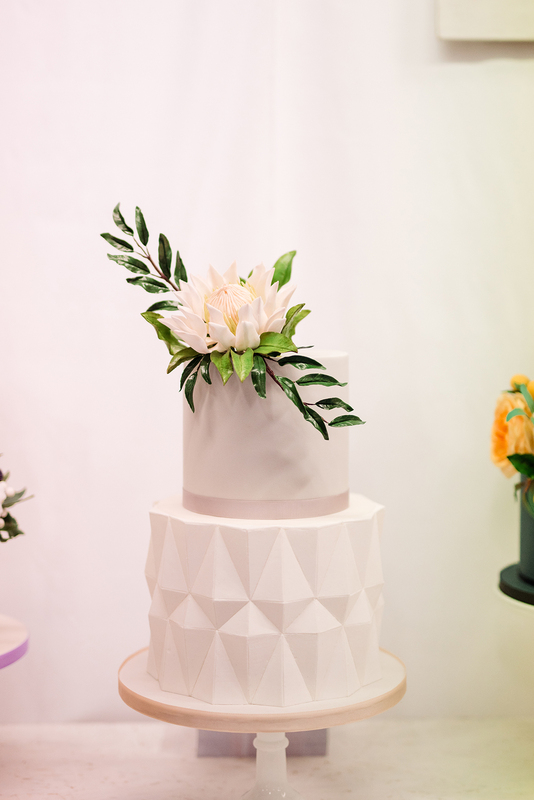 We love interactive events such as the Floral Inspiration Lab where Brides-to-be get to try making their very own pieces and this year there is the new Be At One Hen Hub where there will be masterclasses for cocktail making! 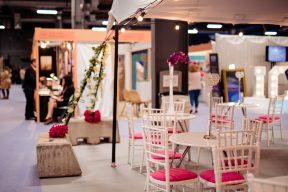 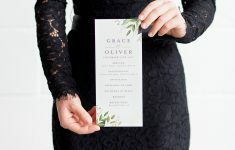 Here are the next National Wedding Show dates – you can find out more about them + purchase tickets here at the website too! 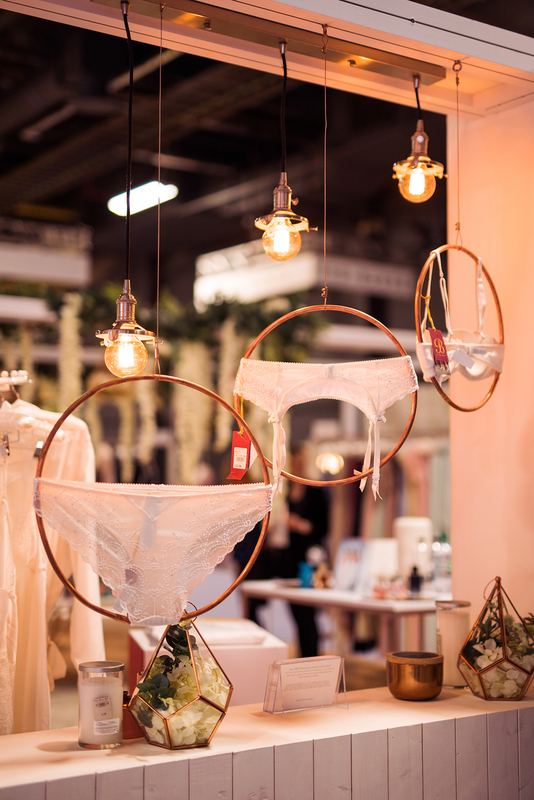 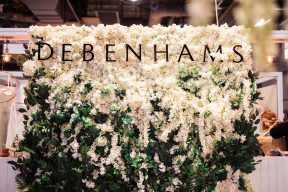 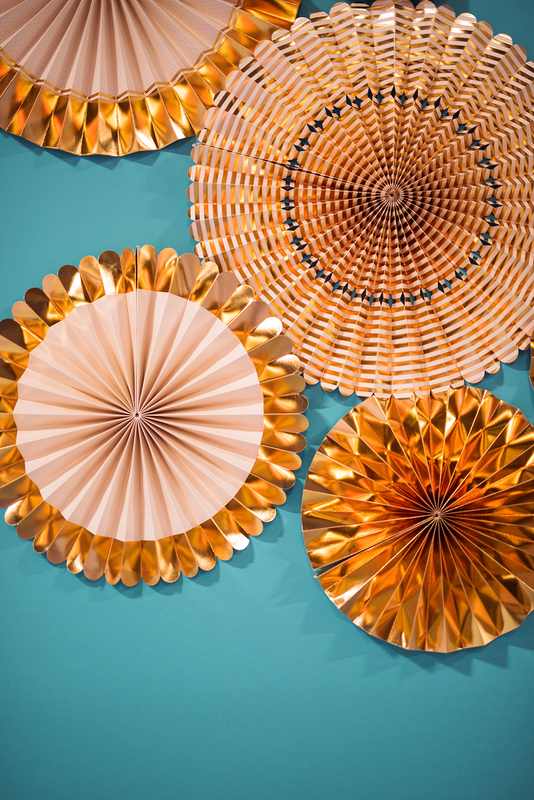 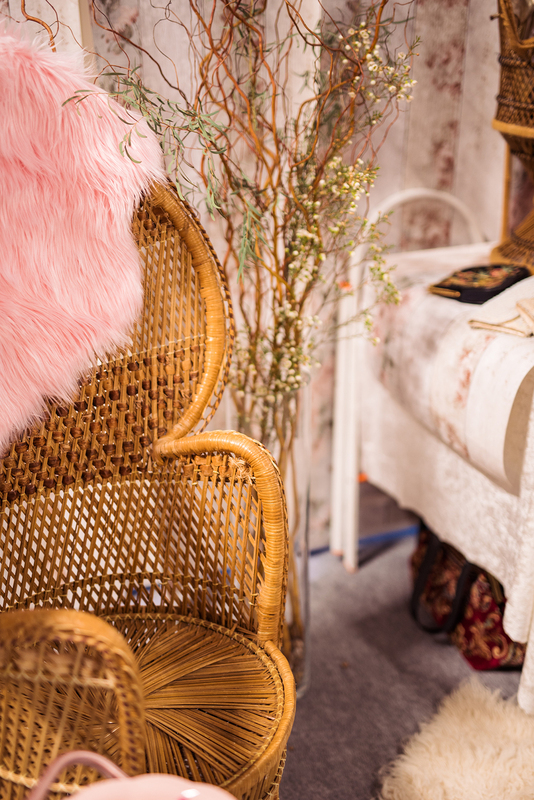 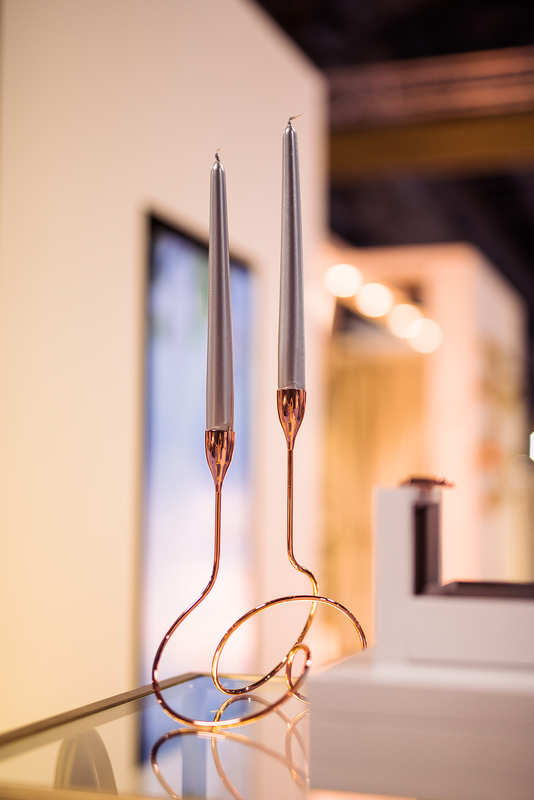 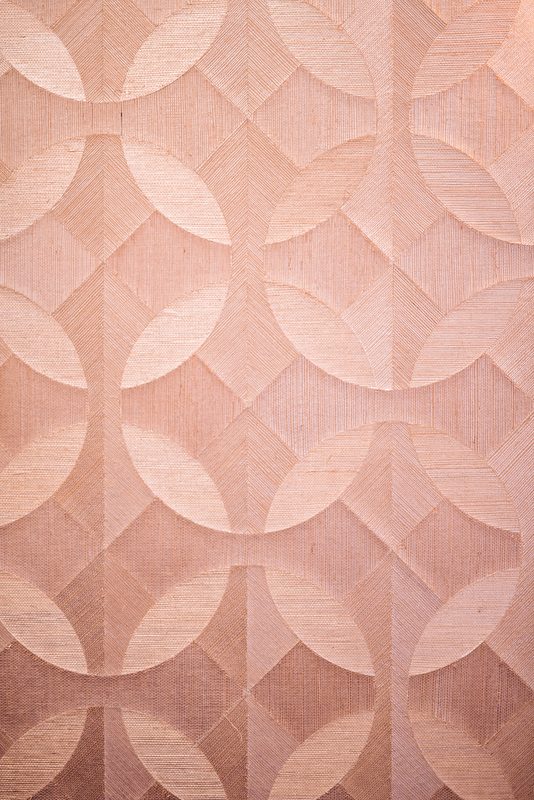 Another super inspiring space was the incredible Debenhams stand where shoes hung encased in copper geometric lanterns with the silk floral installation above, and lovely lingerie was displayed in a creative installation of copper hoops. 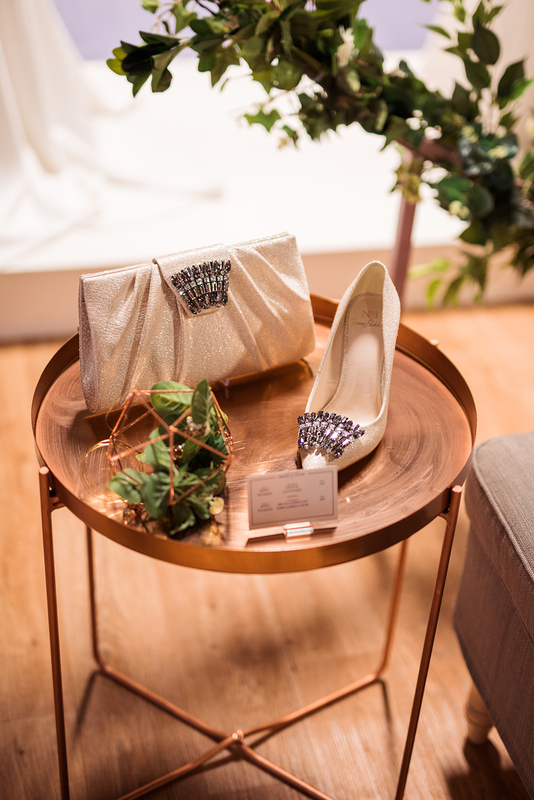 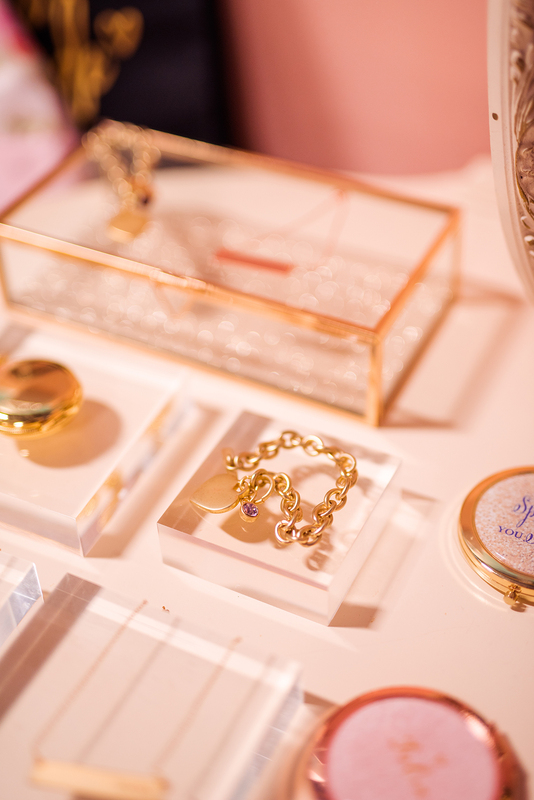 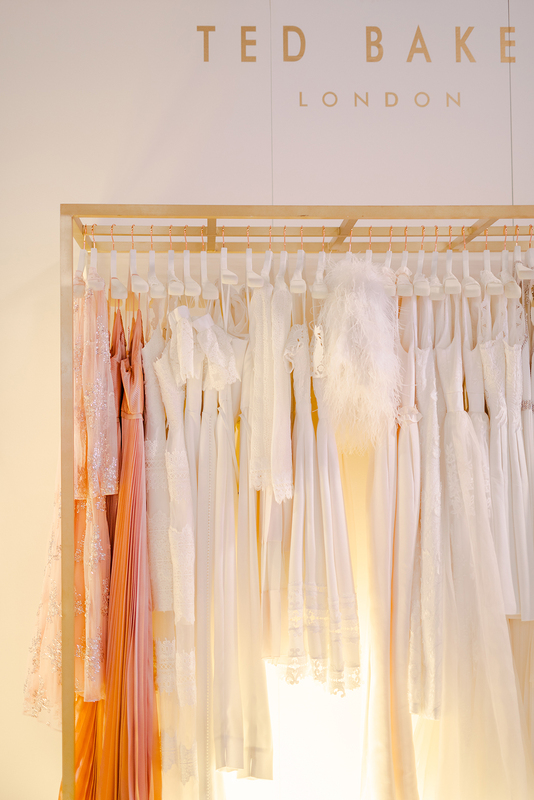 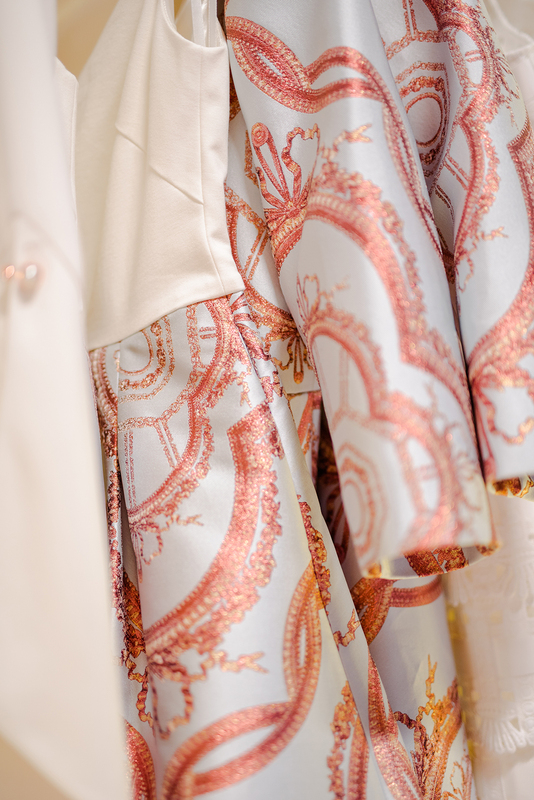 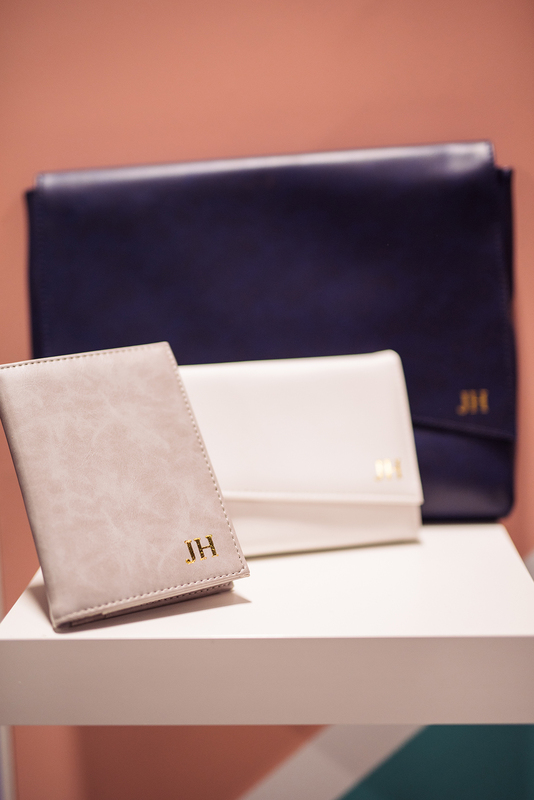 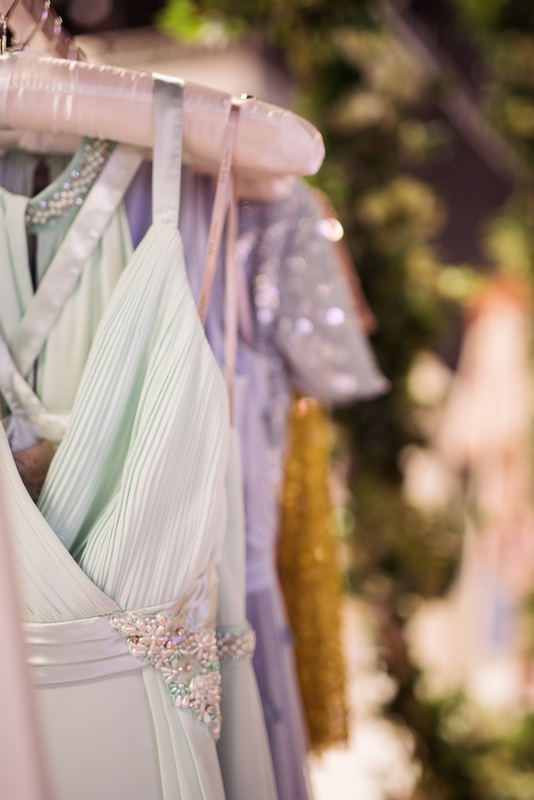 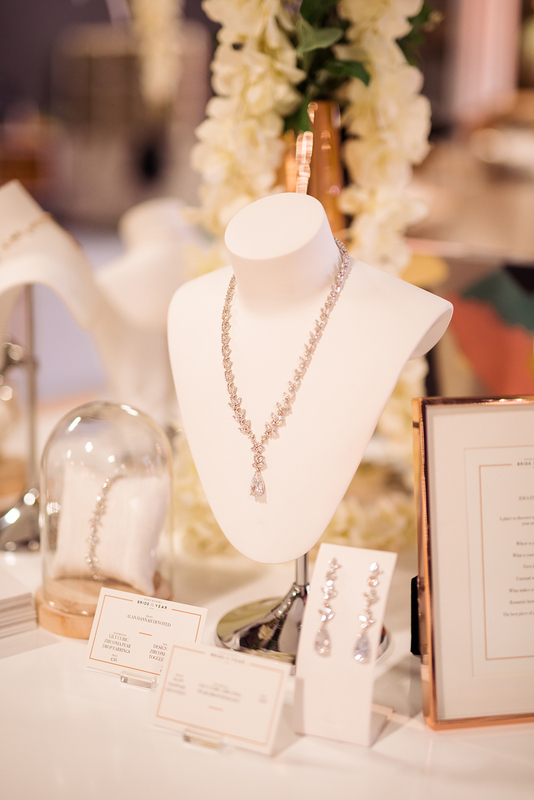 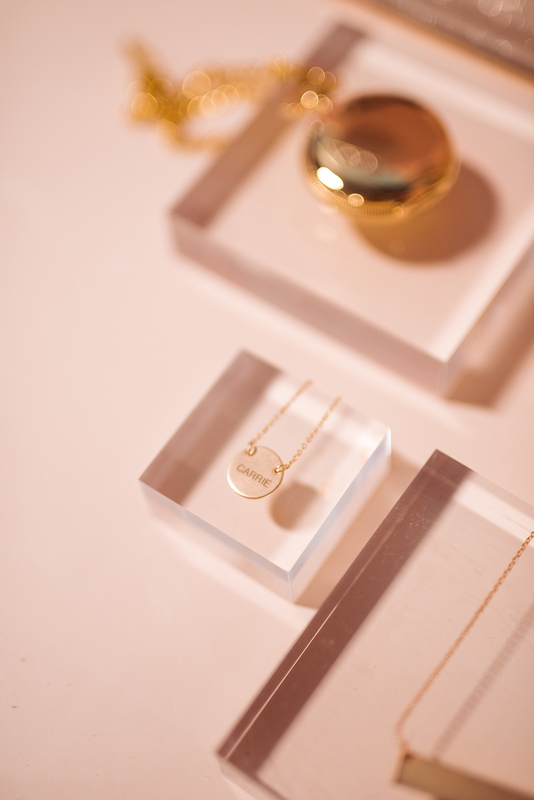 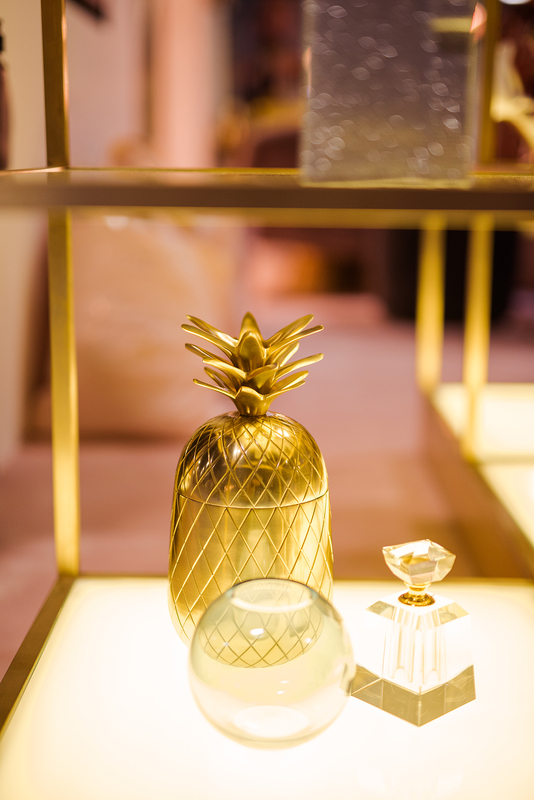 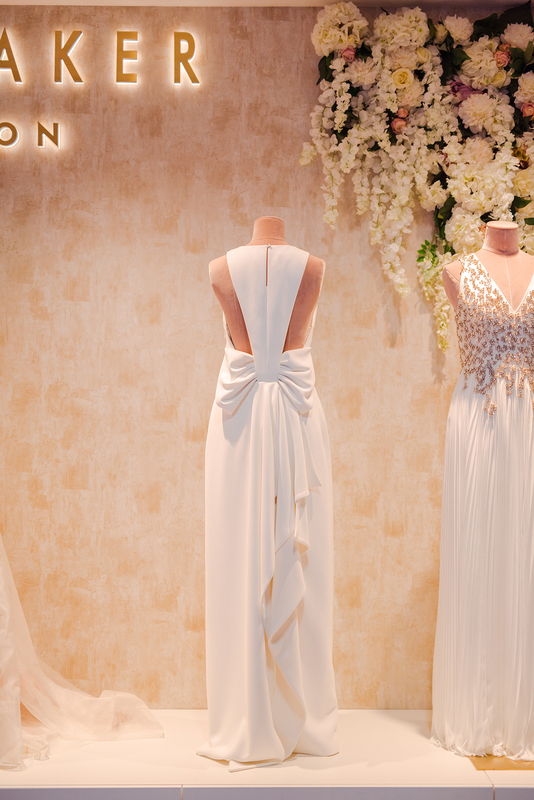 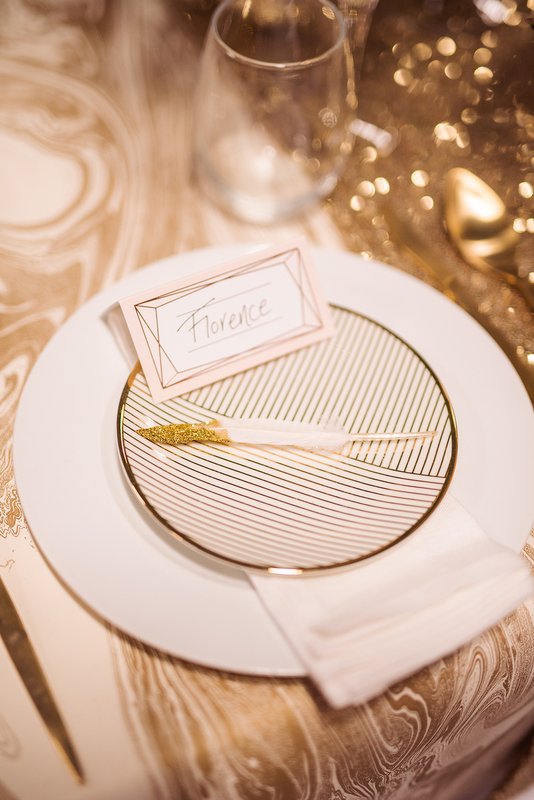 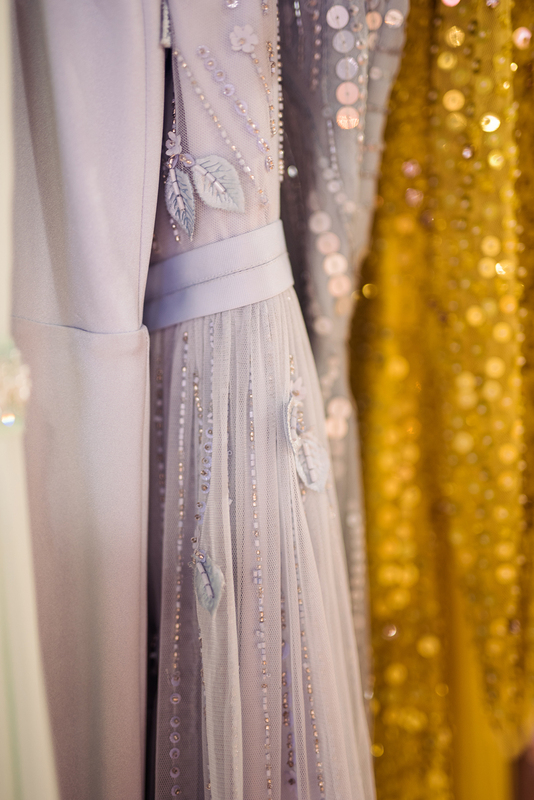 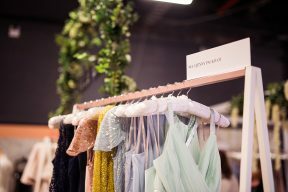 There was so much to see from their various designer collections such as Jenny Packham and Nine by Sienna Miller s well as jewellery, accessories, bridal shoes and outfit ideas for Bridesmaids and Mother of the Bride! 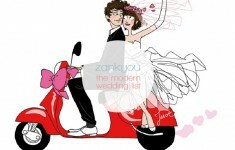 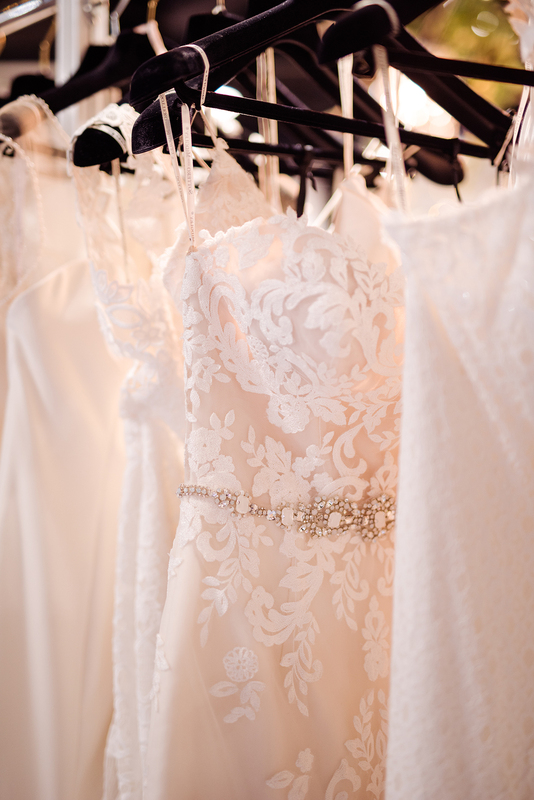 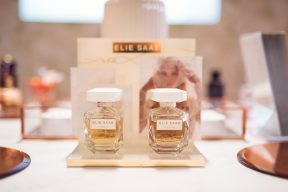 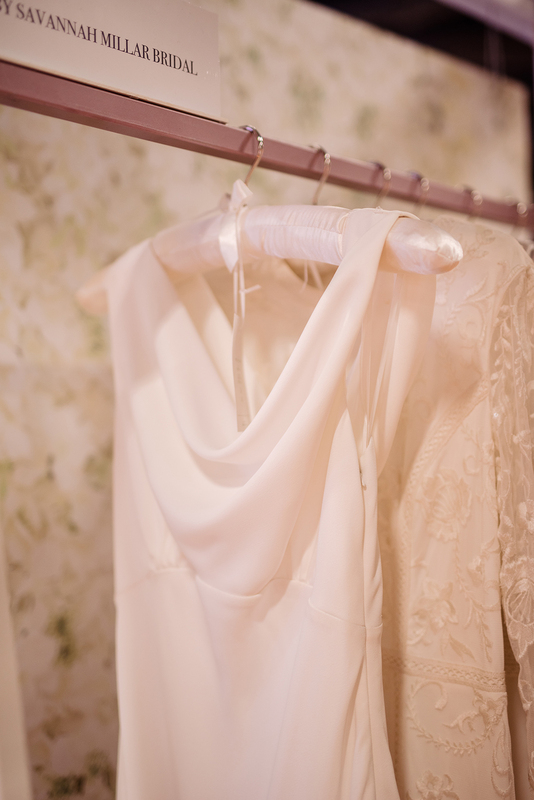 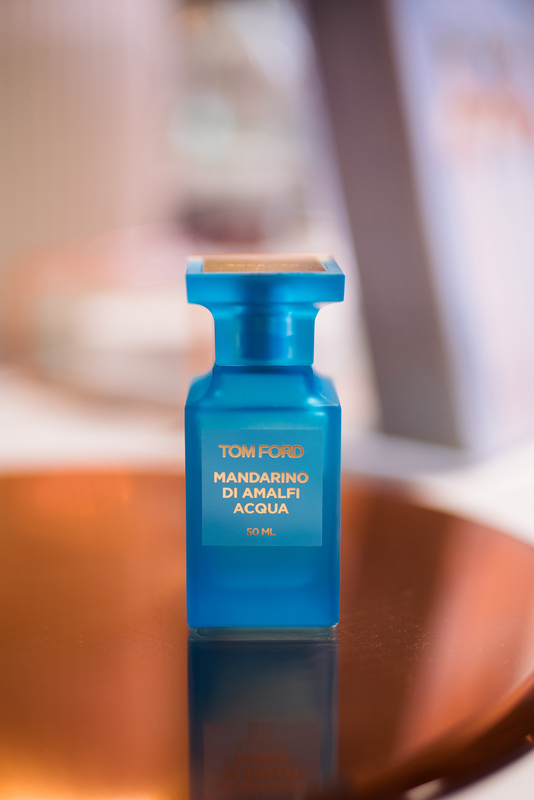 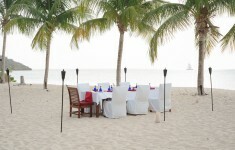 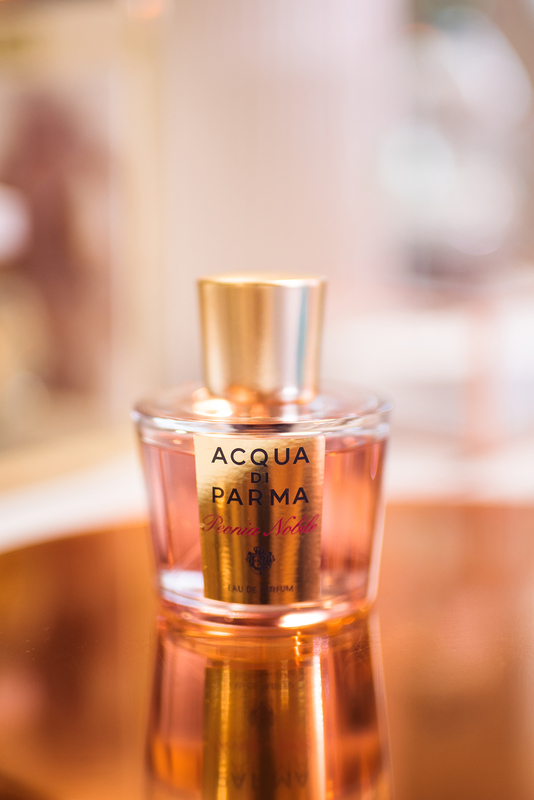 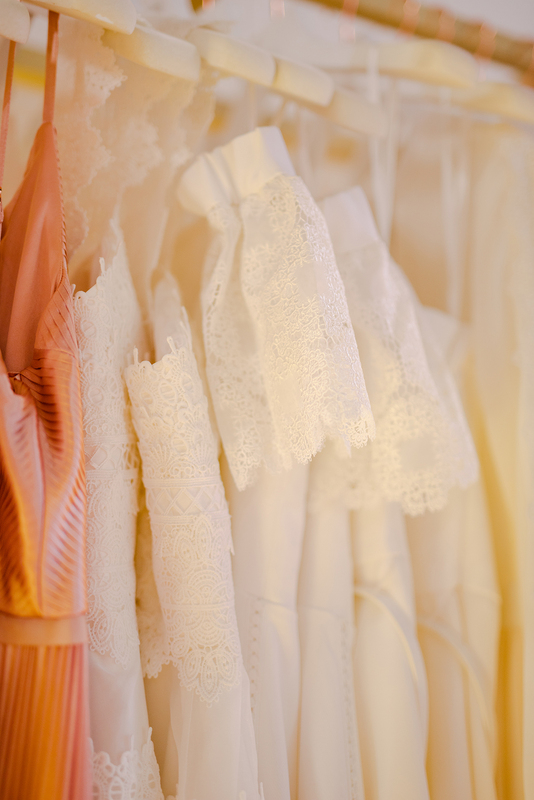 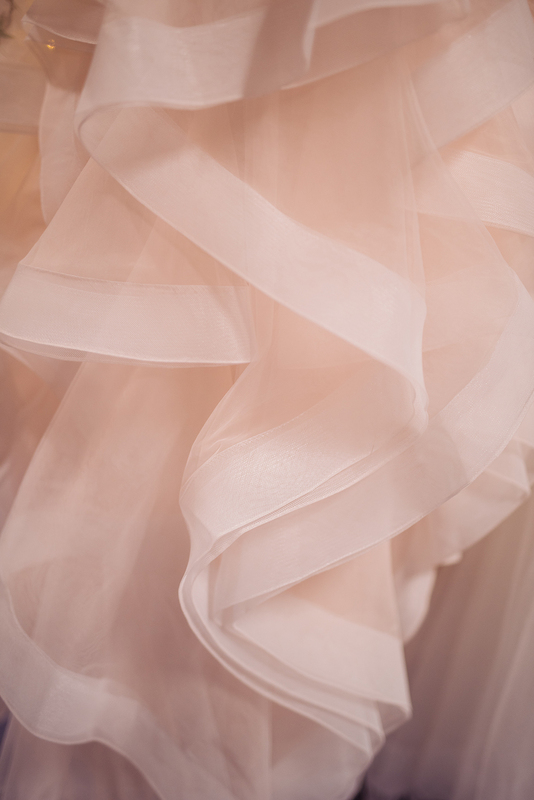 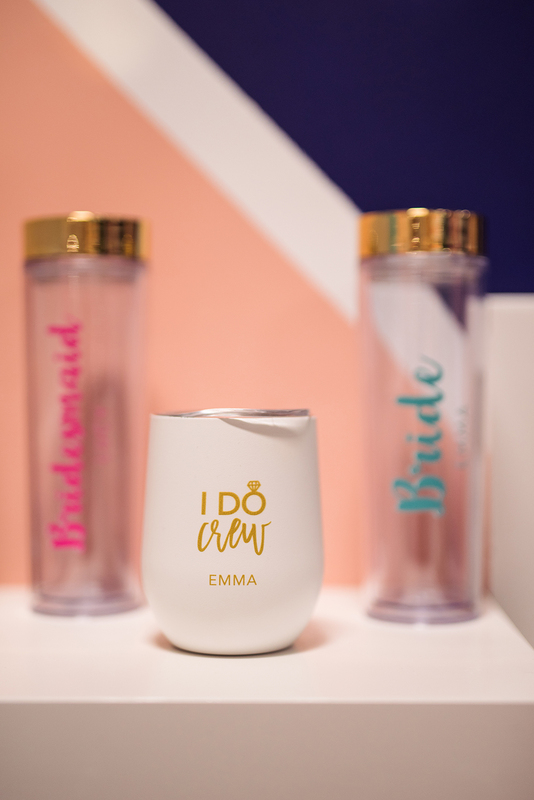 You could even explore their selection of wedding day perfumes including Tom Ford, Aqua di Palma and Elie Saab! 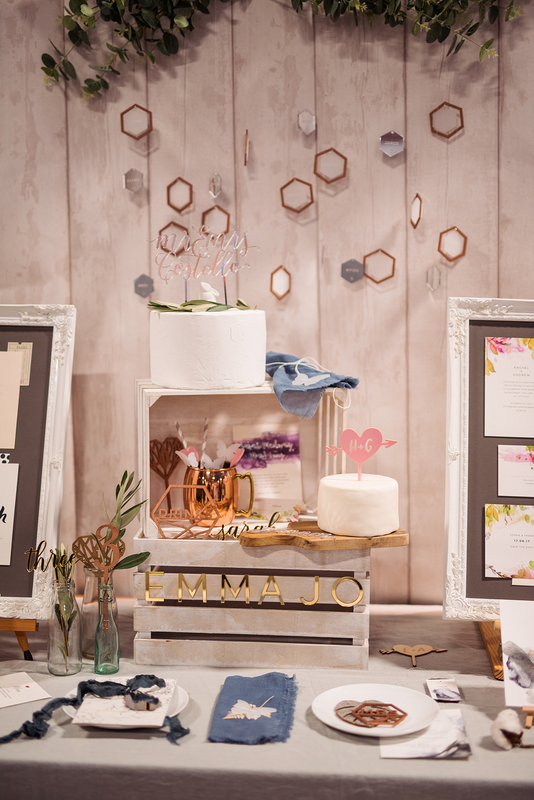 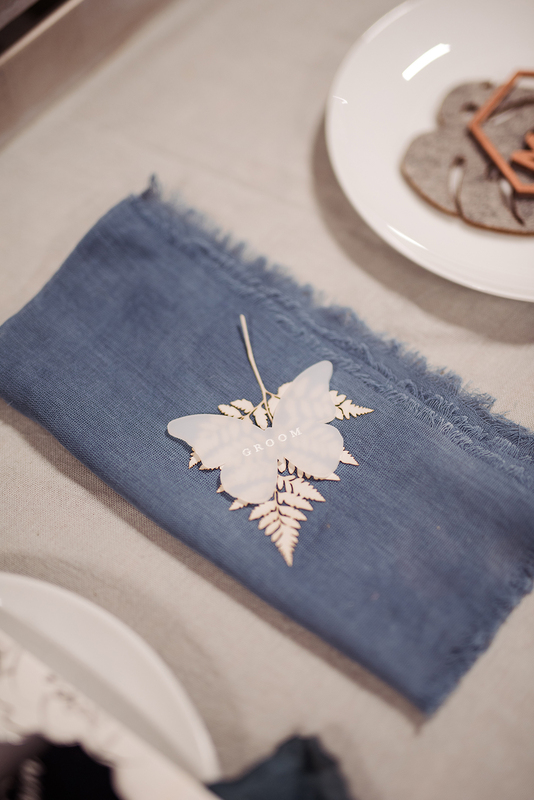 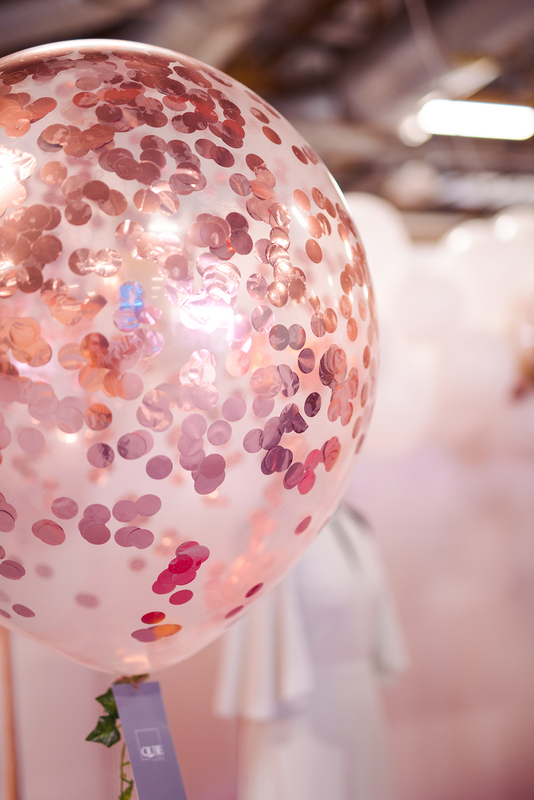 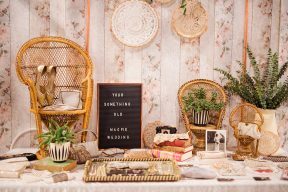 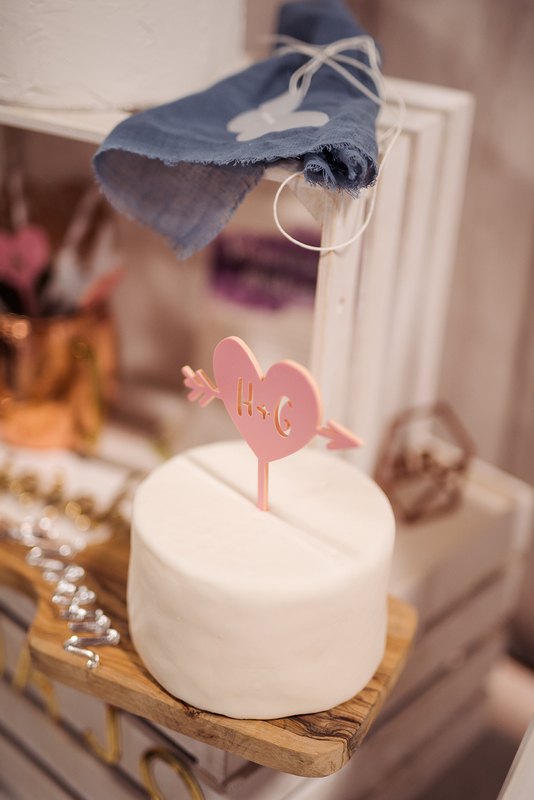 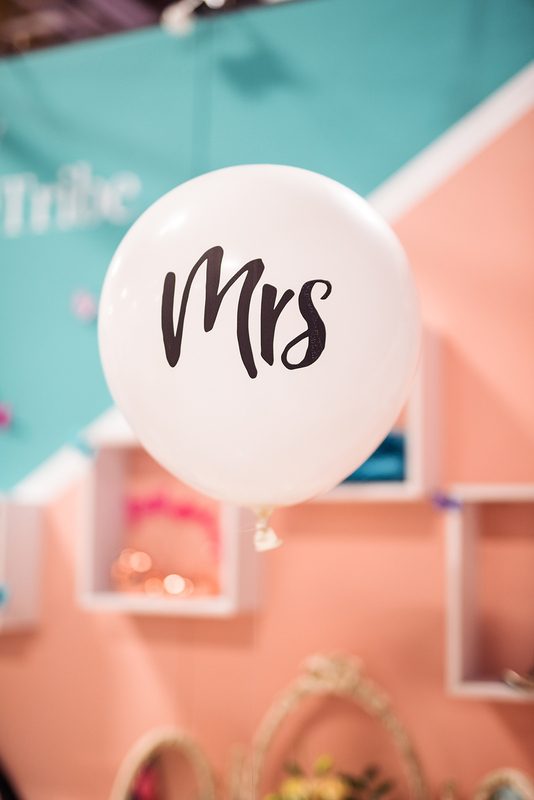 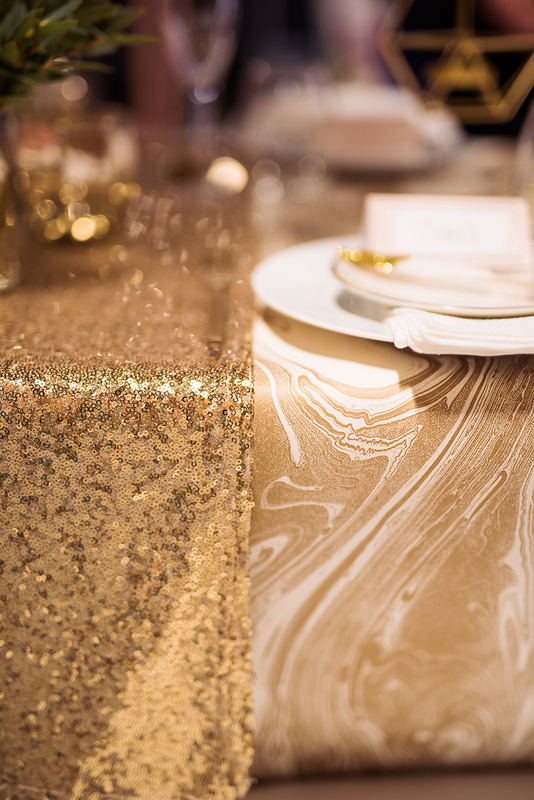 The Confetti Shop has oodles of ideas with table decor examples and a range of their gift ideas, and party supplies perfect for your bridal shower too. 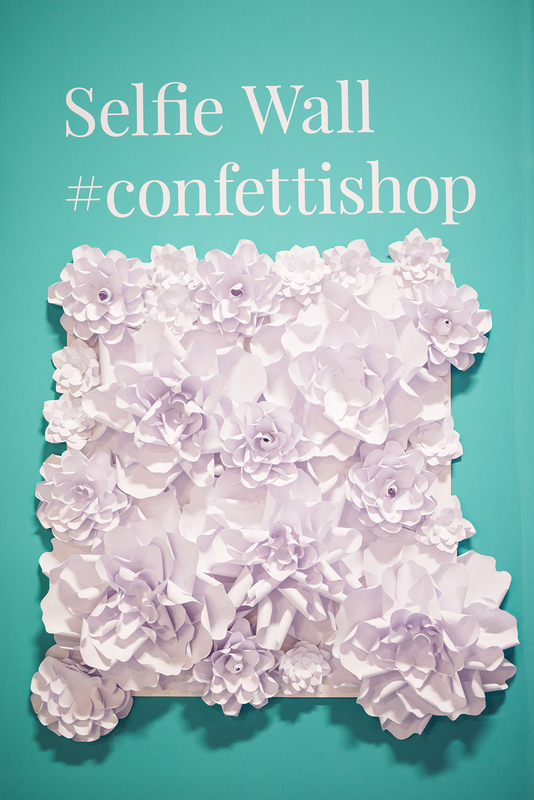 I loved the bright butterflies, paper flower selfie wall and gold pinwheels too! 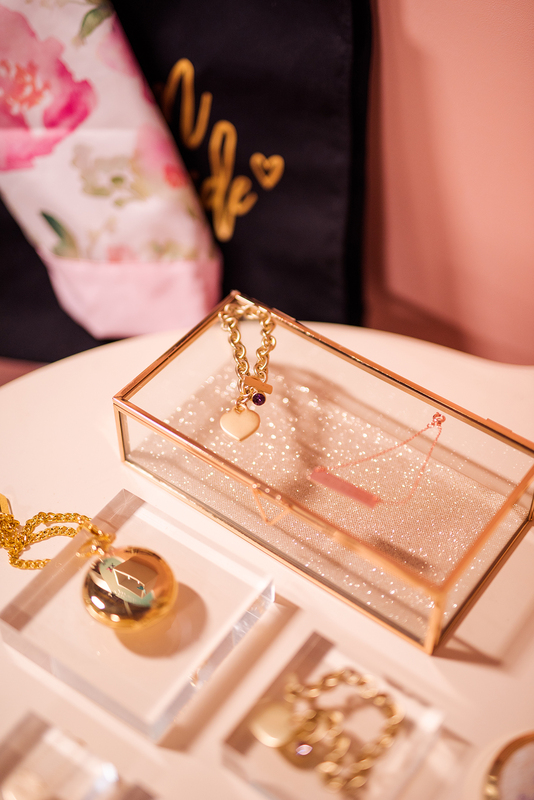 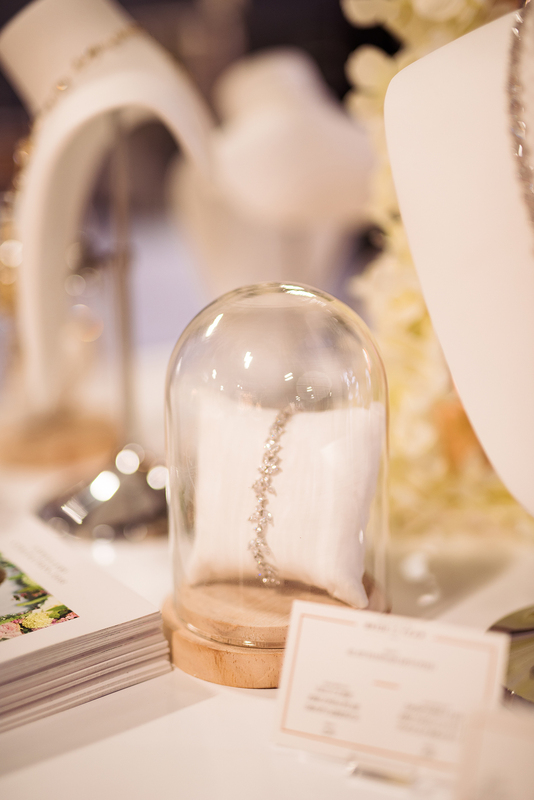 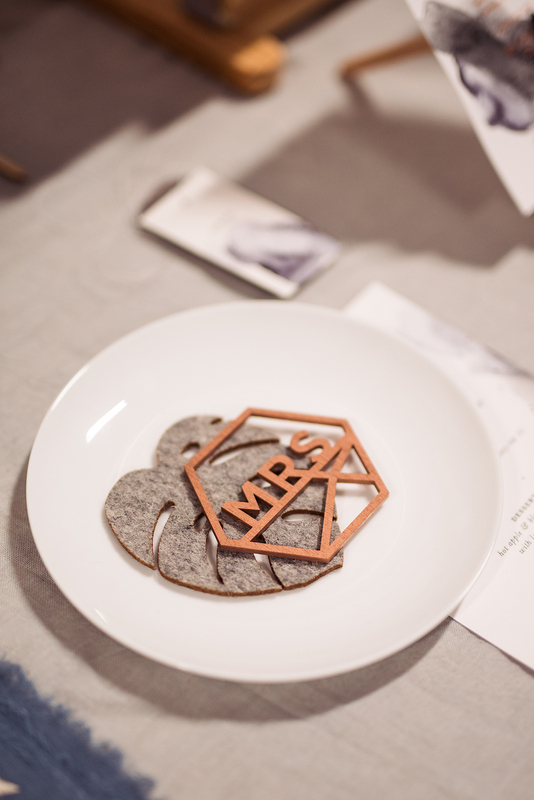 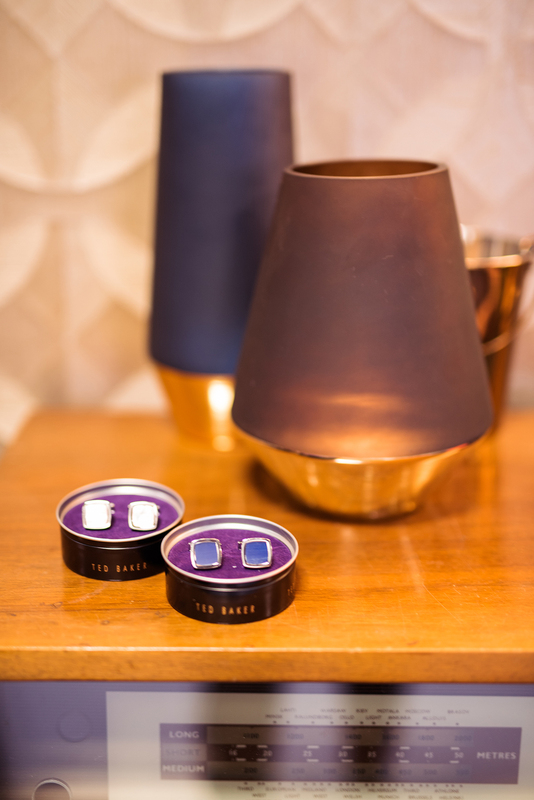 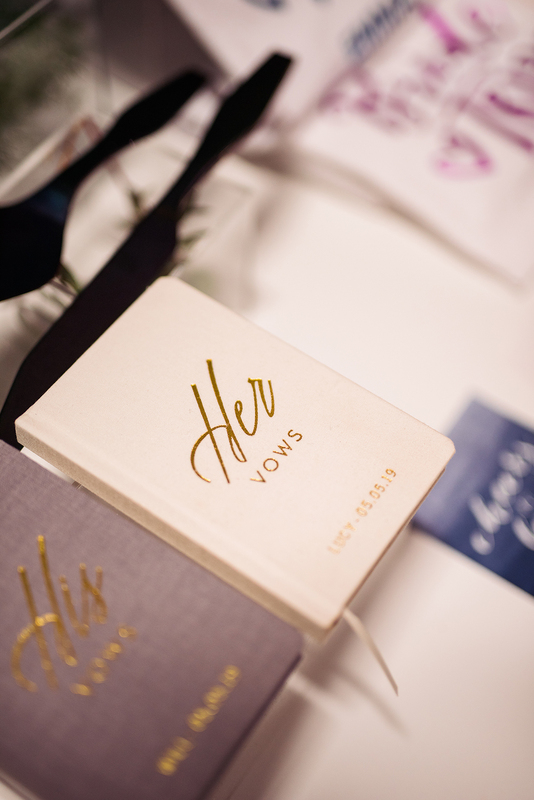 Their glass trinket boxes and ‘his and hers’ vow books were some of my favourite finds.